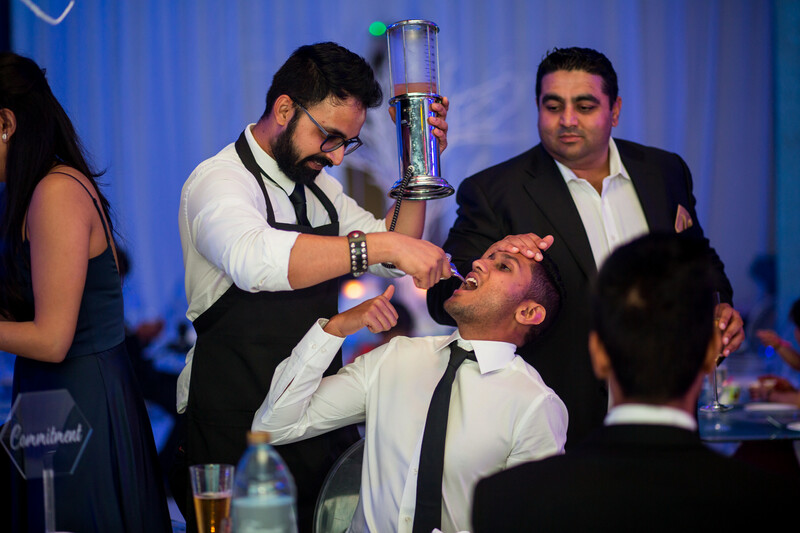 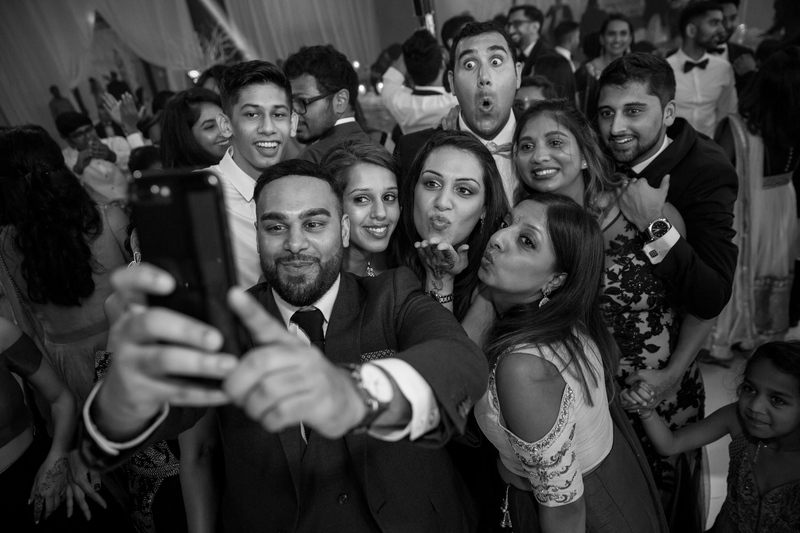 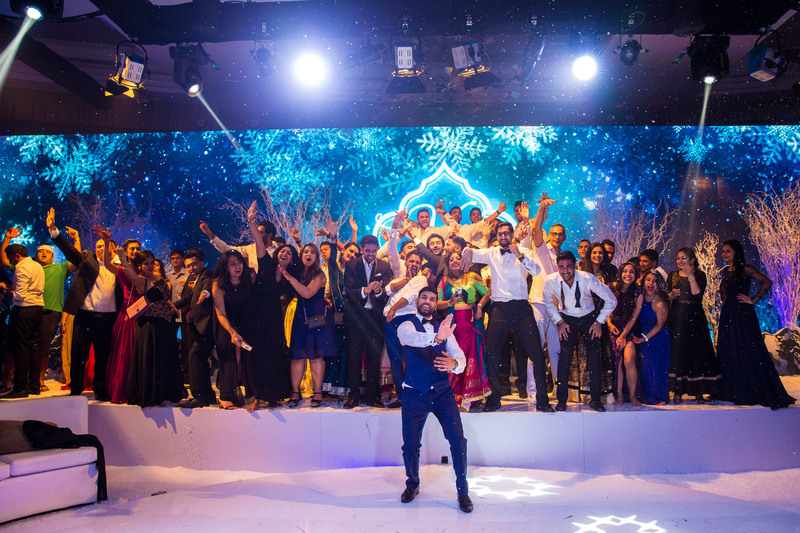 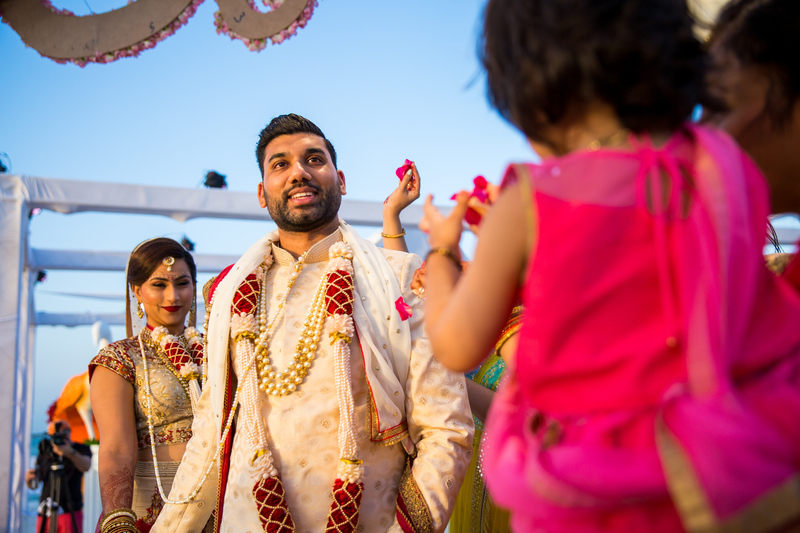 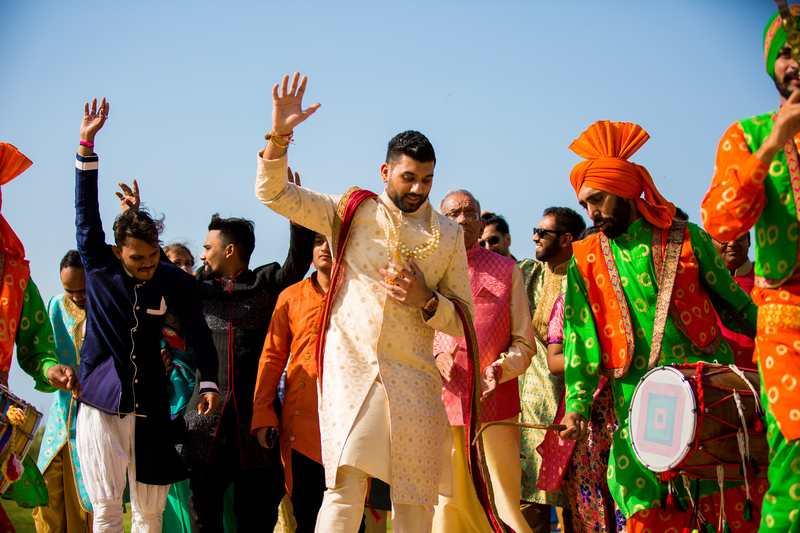 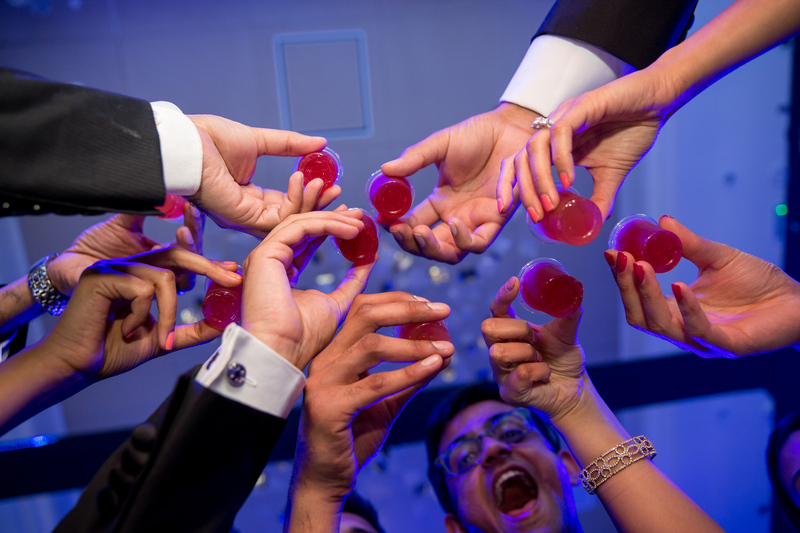 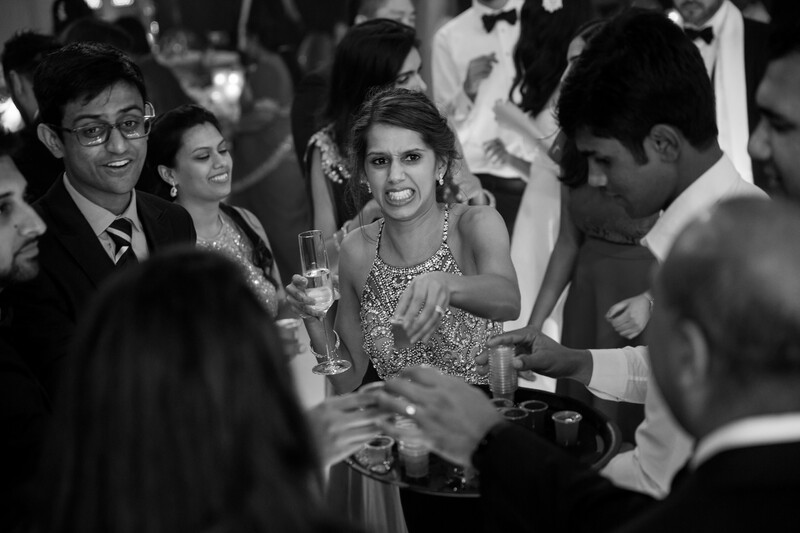 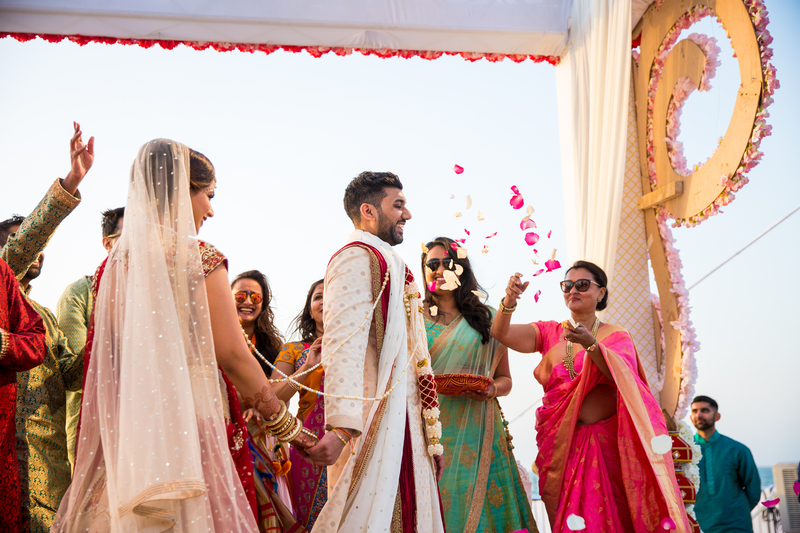 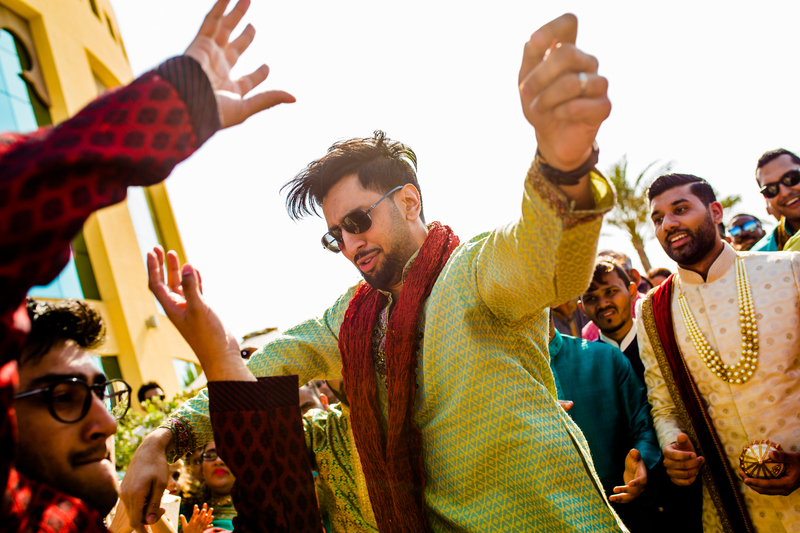 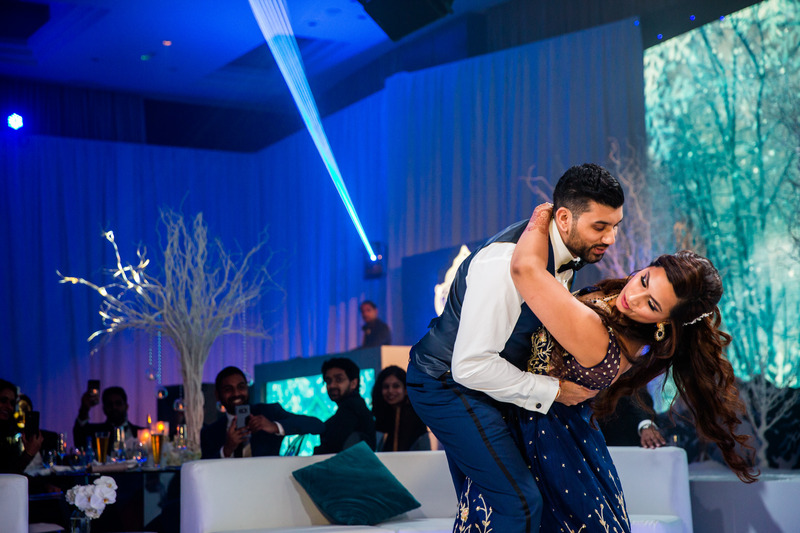 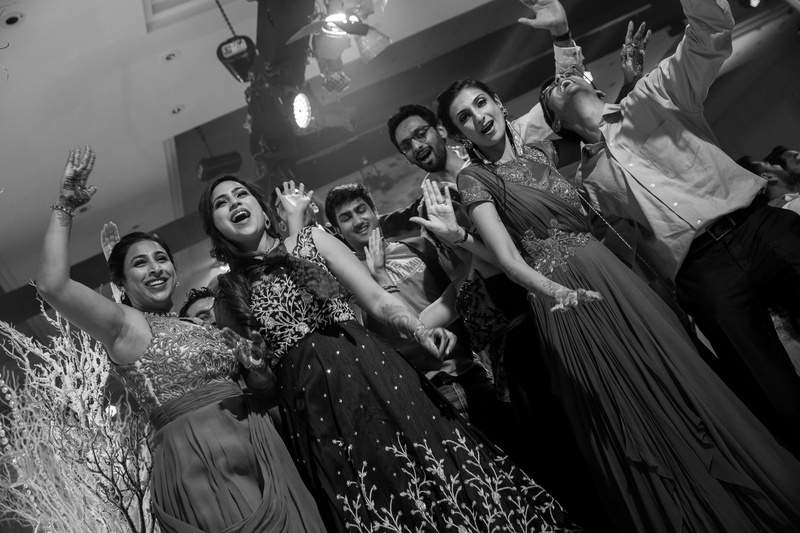 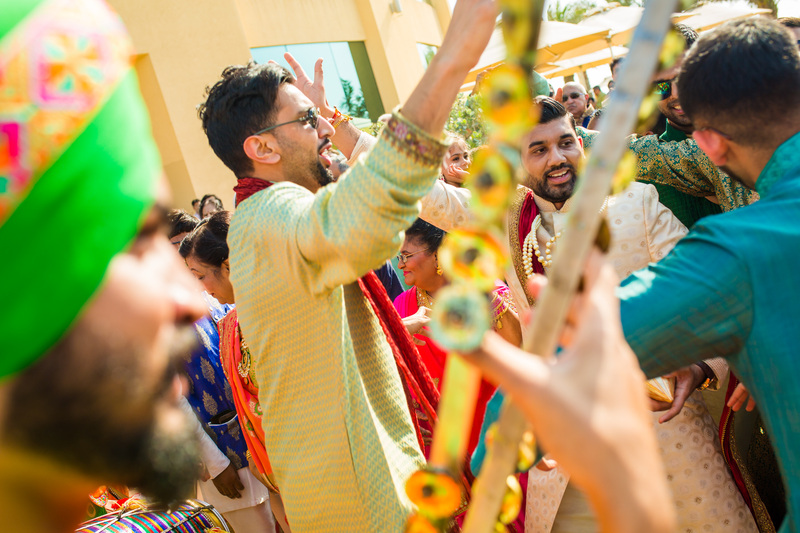 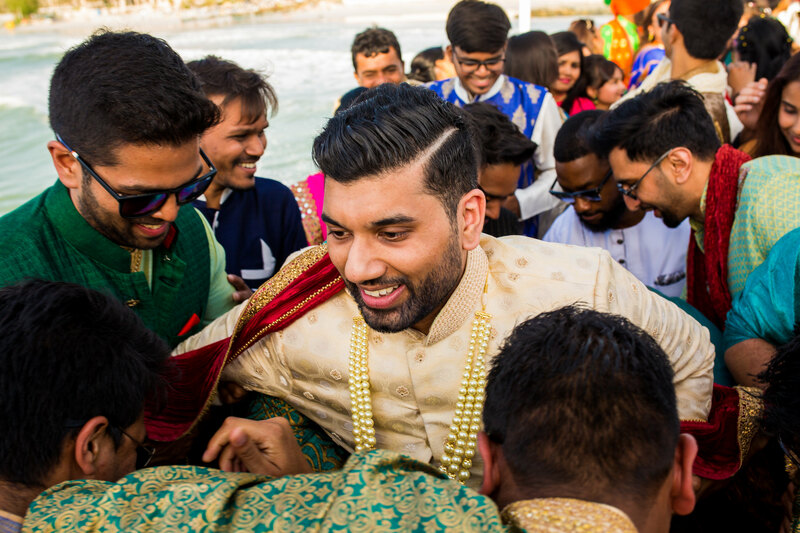 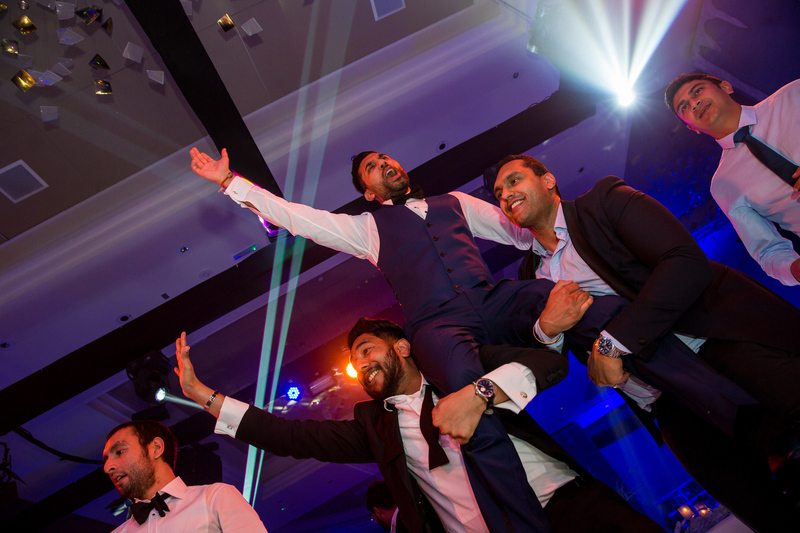 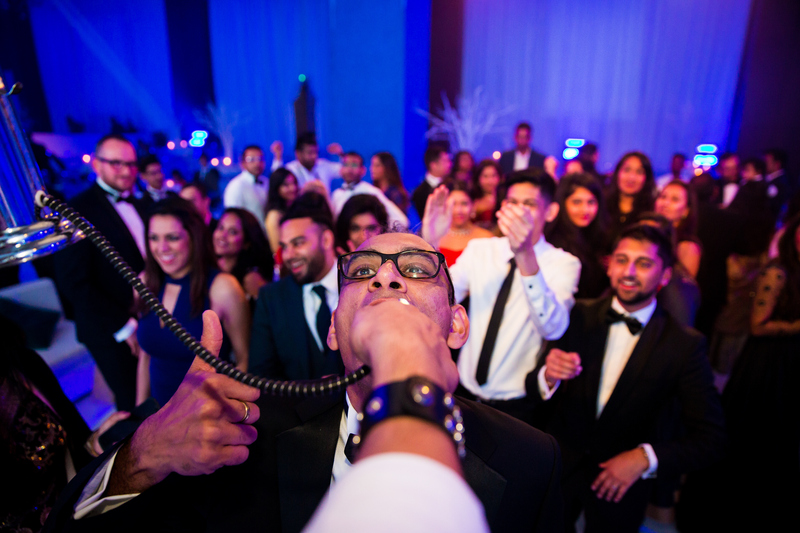 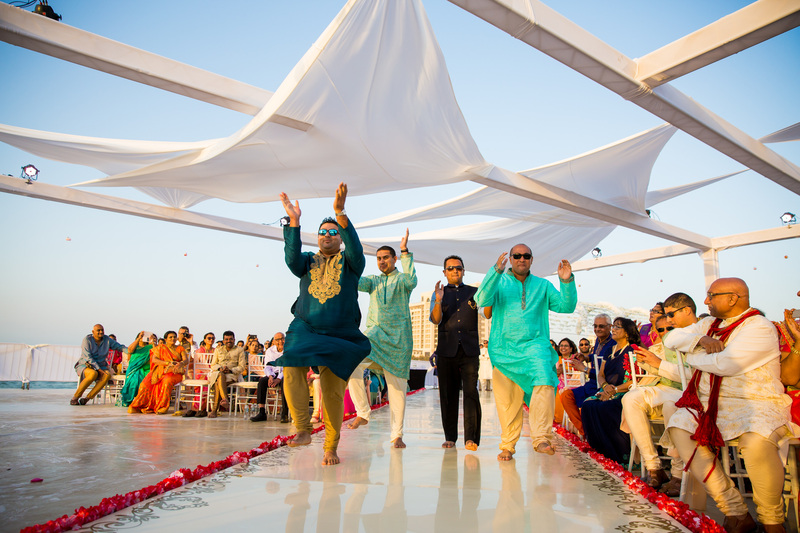 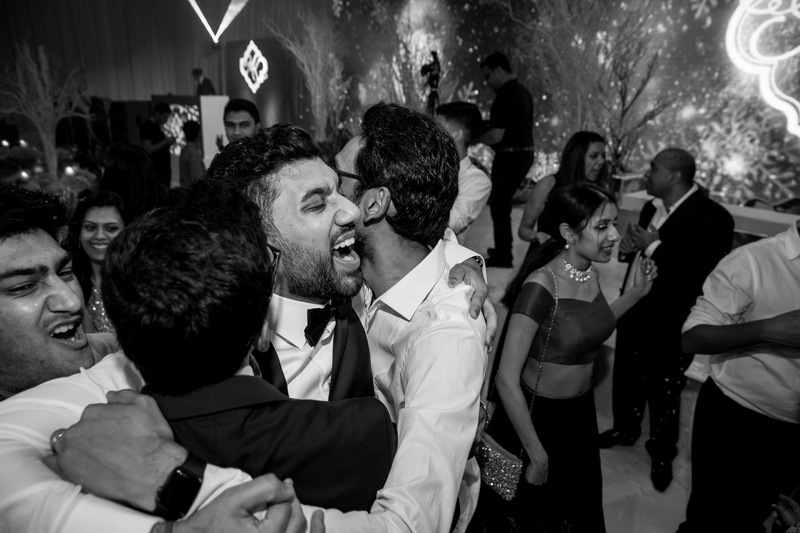 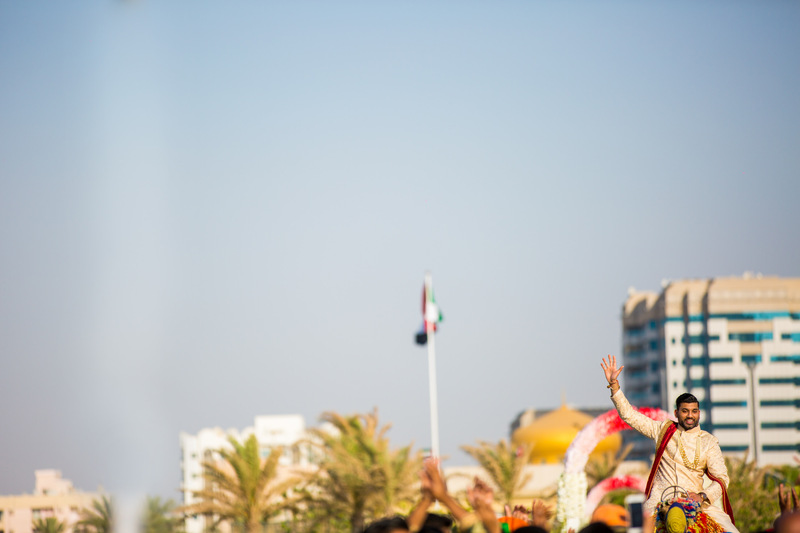 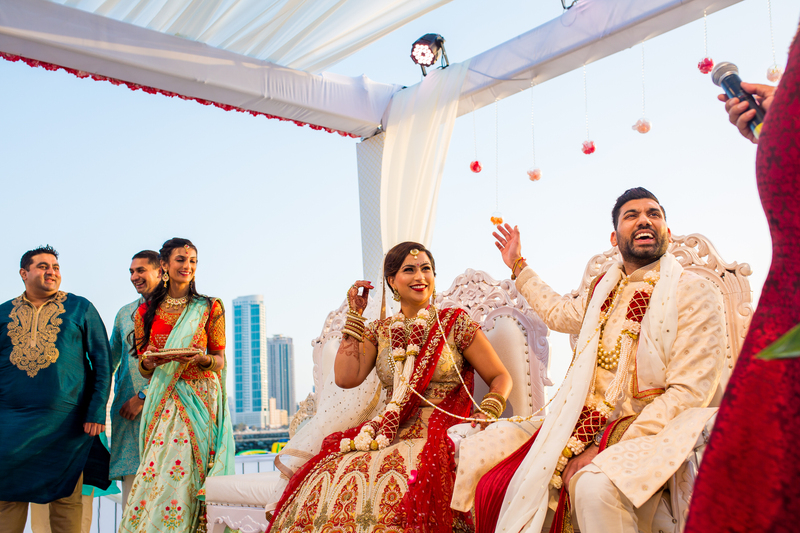 The big day finally arrived and everyone was pumped up to kick off the celebrations in style. 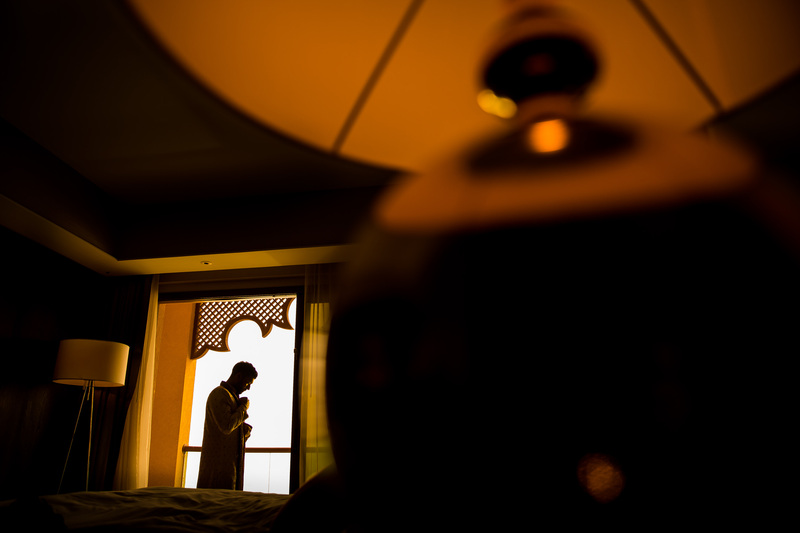 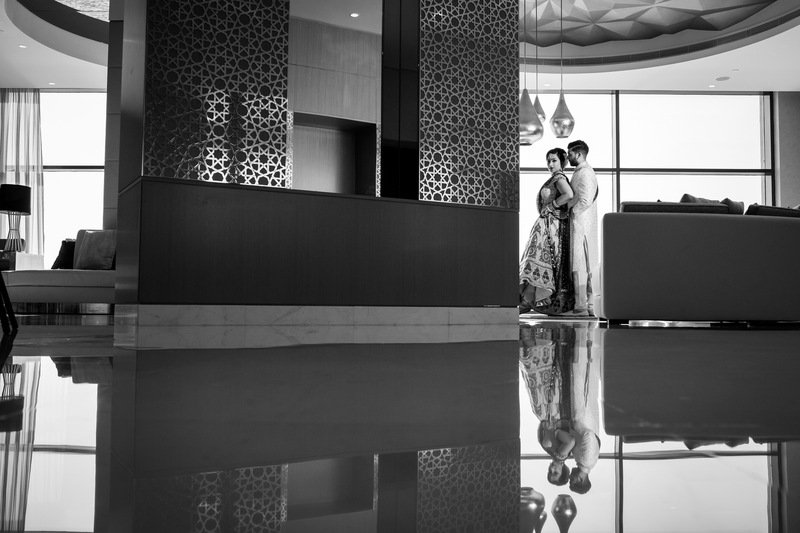 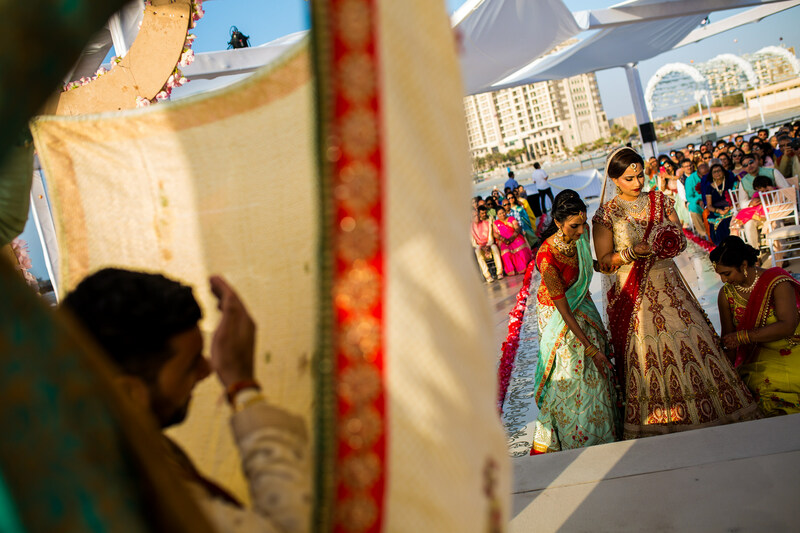 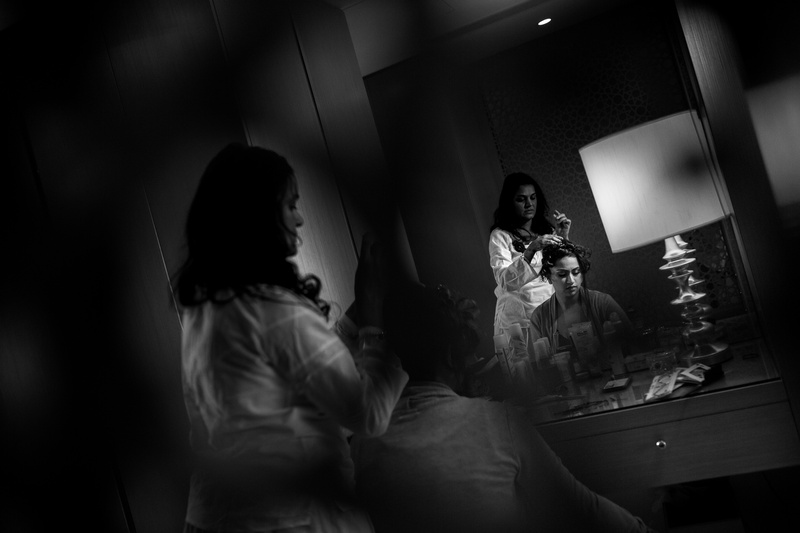 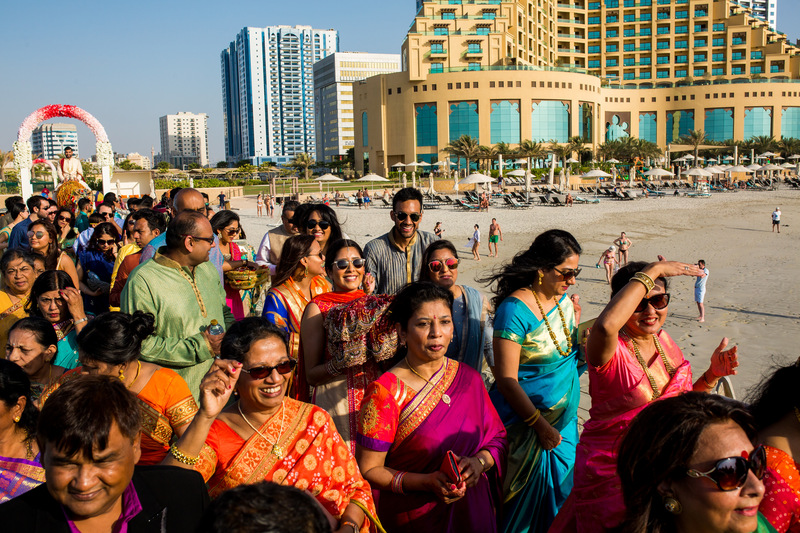 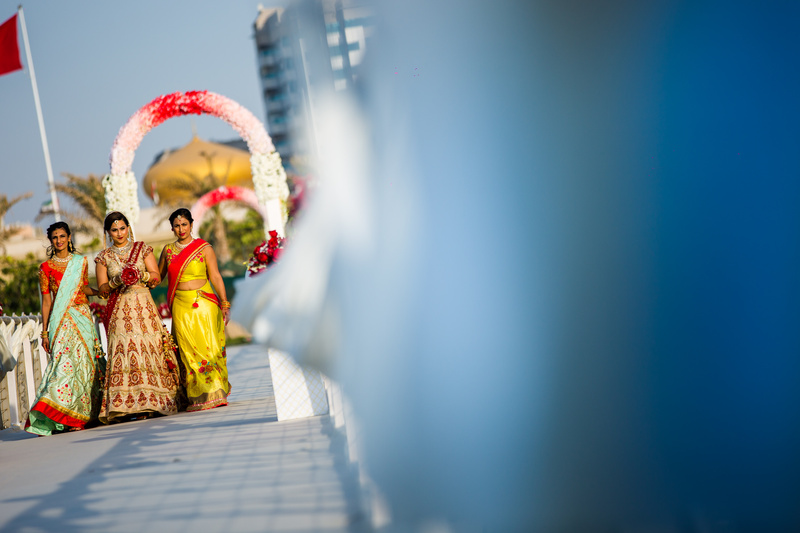 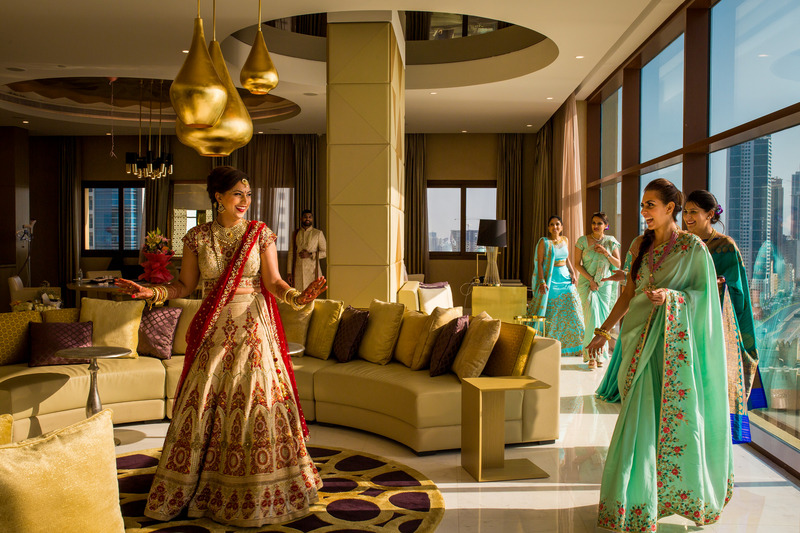 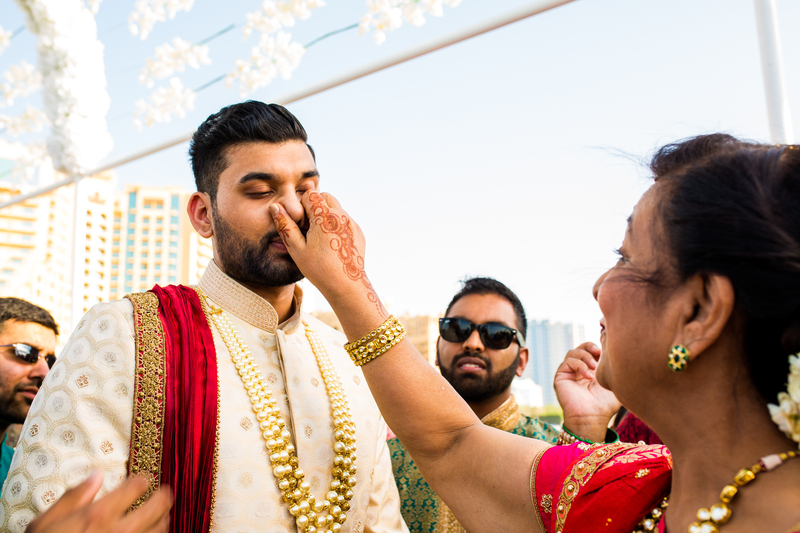 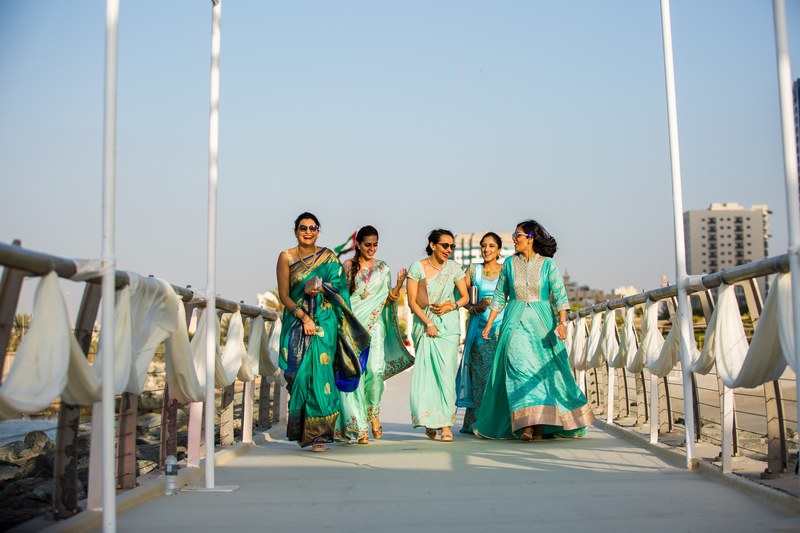 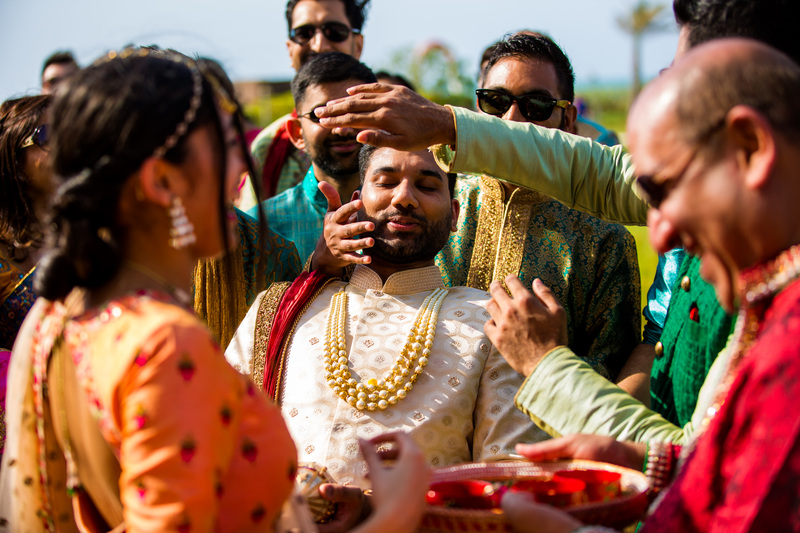 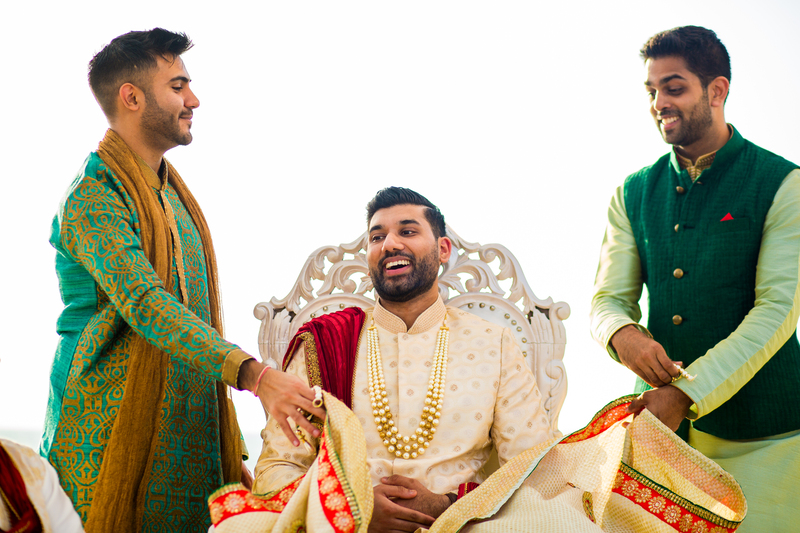 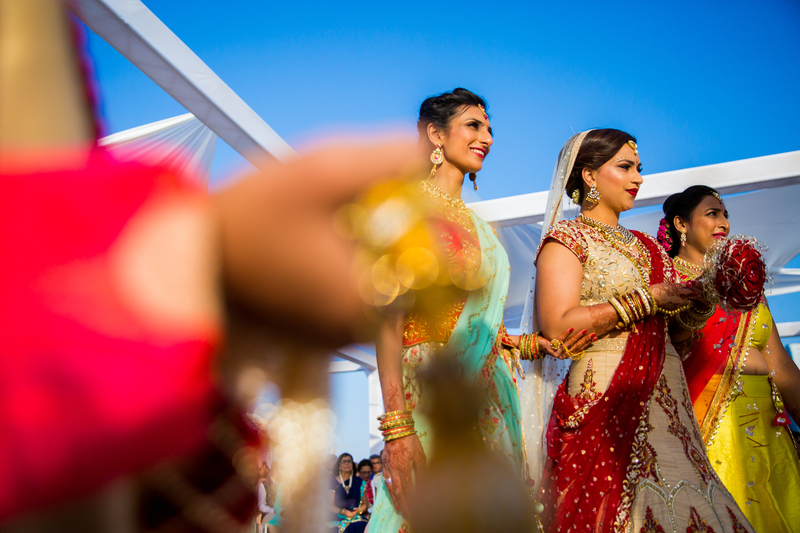 Meera’s pre wedding ceremony took place first thing in the morning followed by a short break for everyone to get ready. 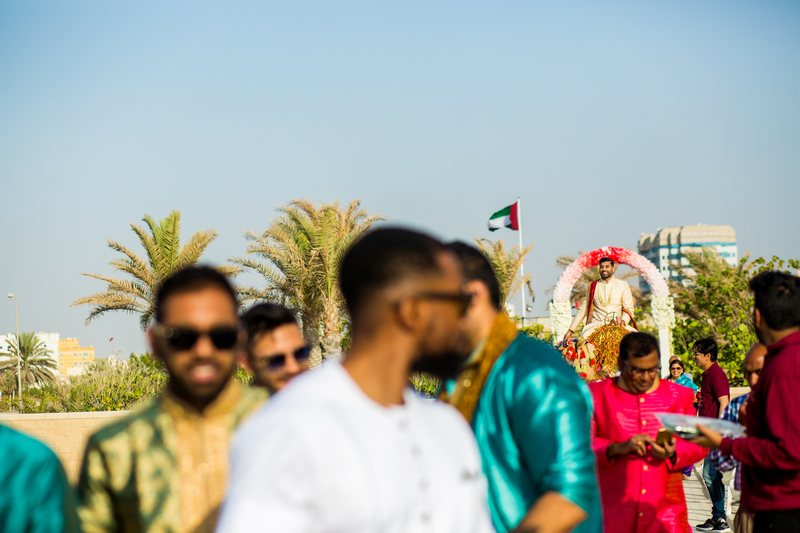 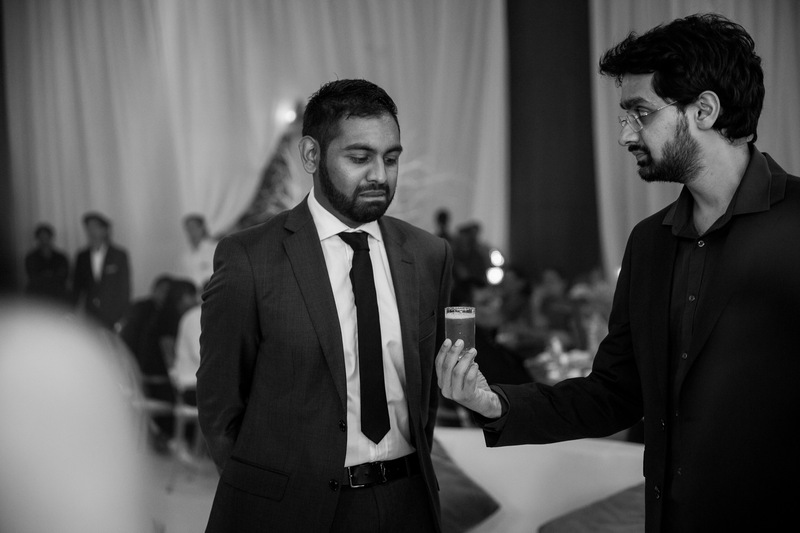 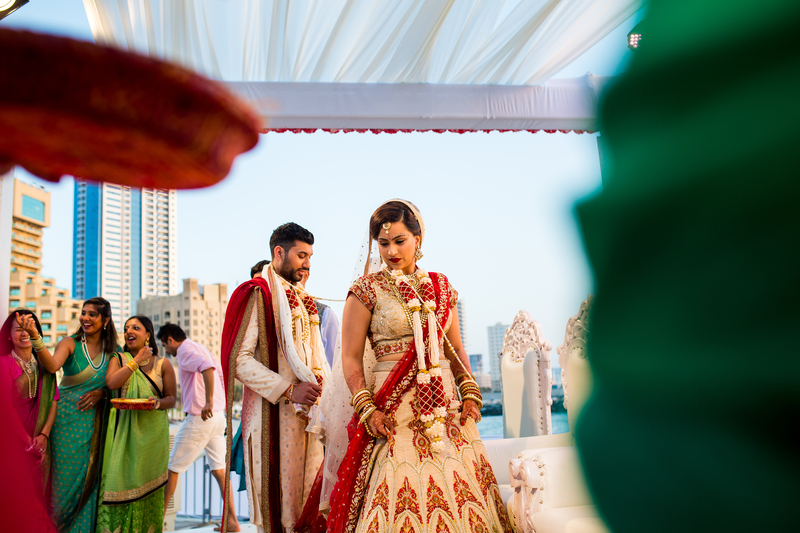 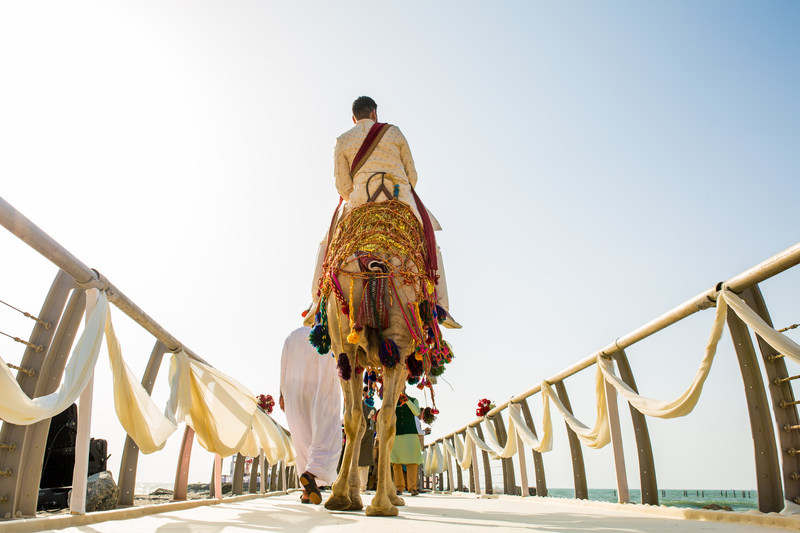 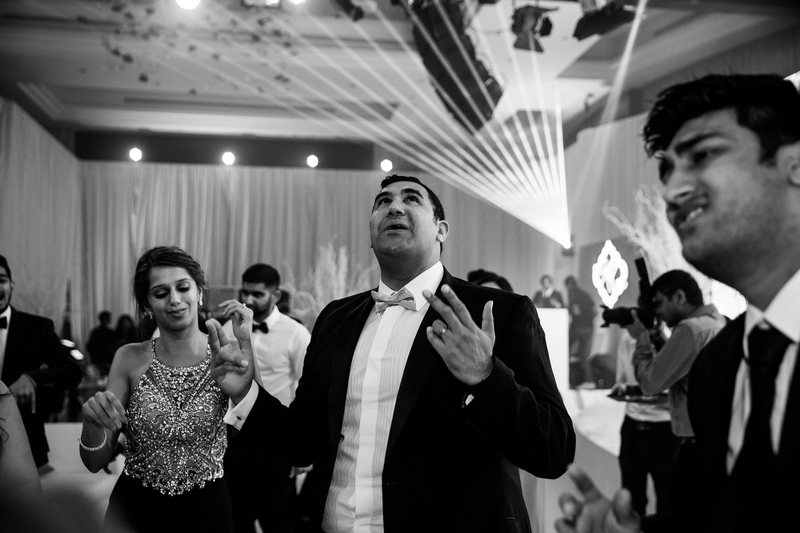 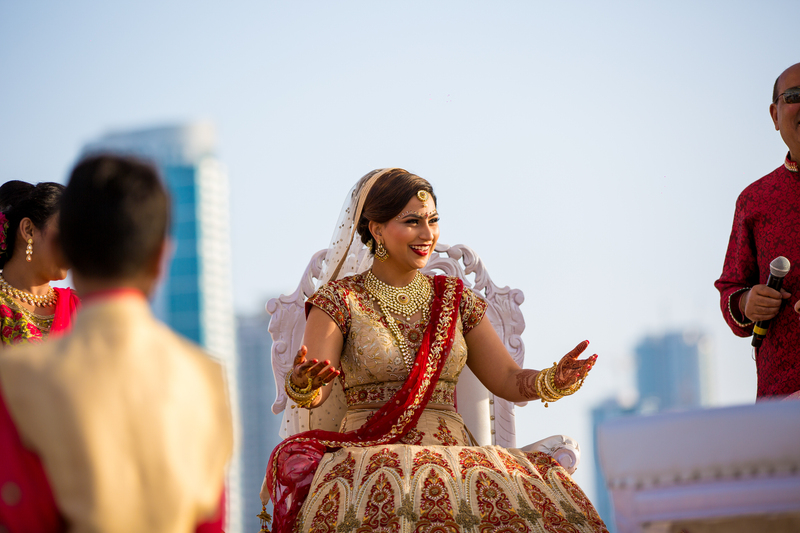 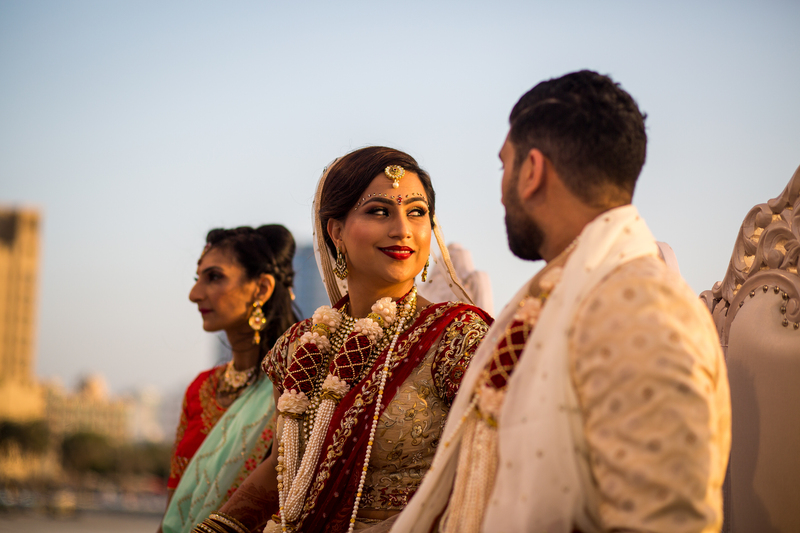 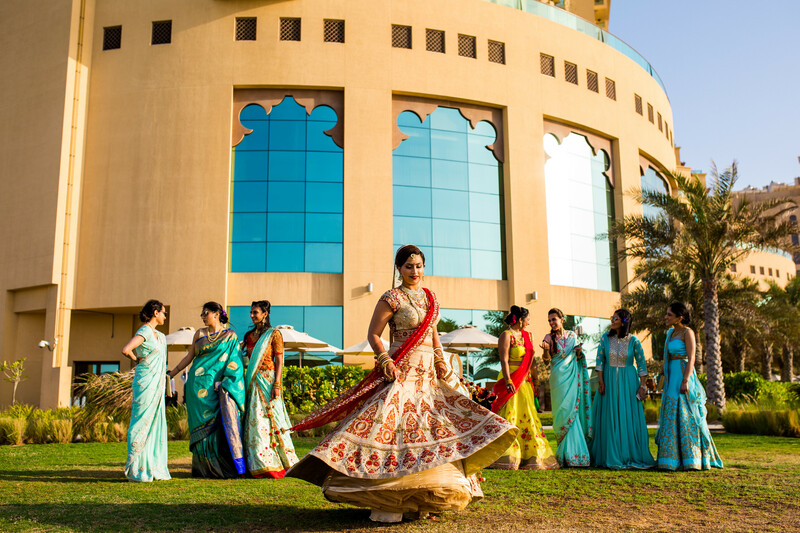 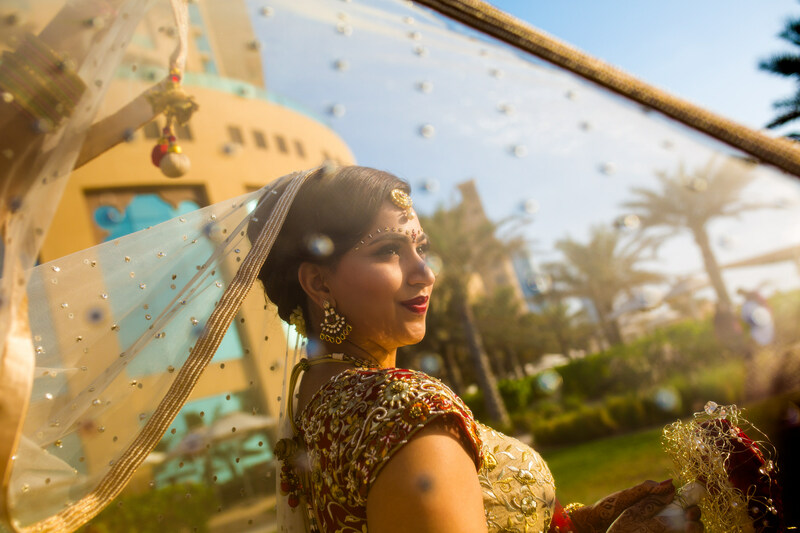 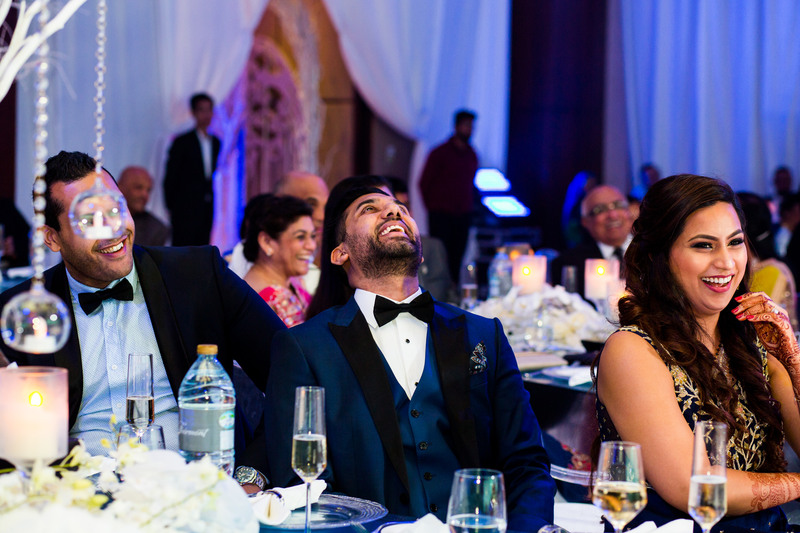 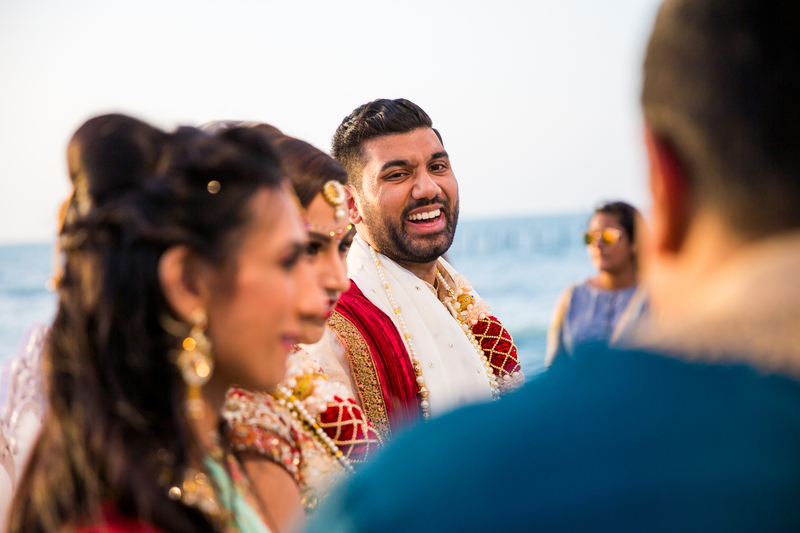 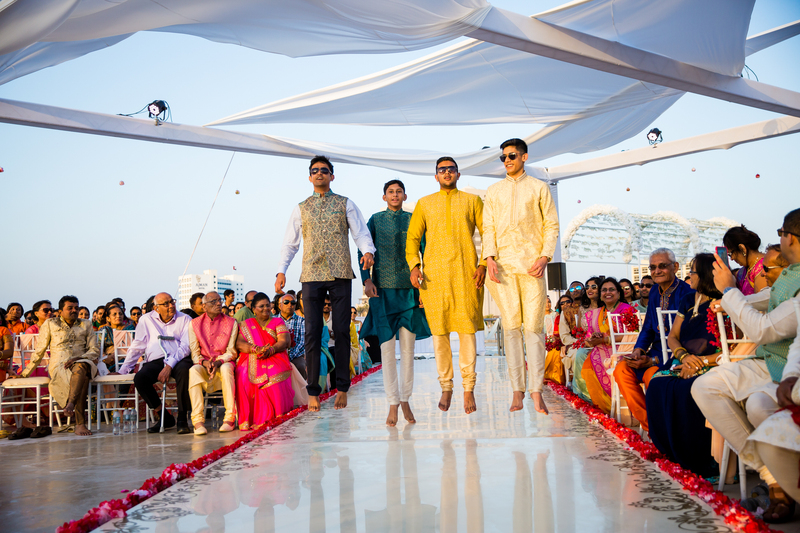 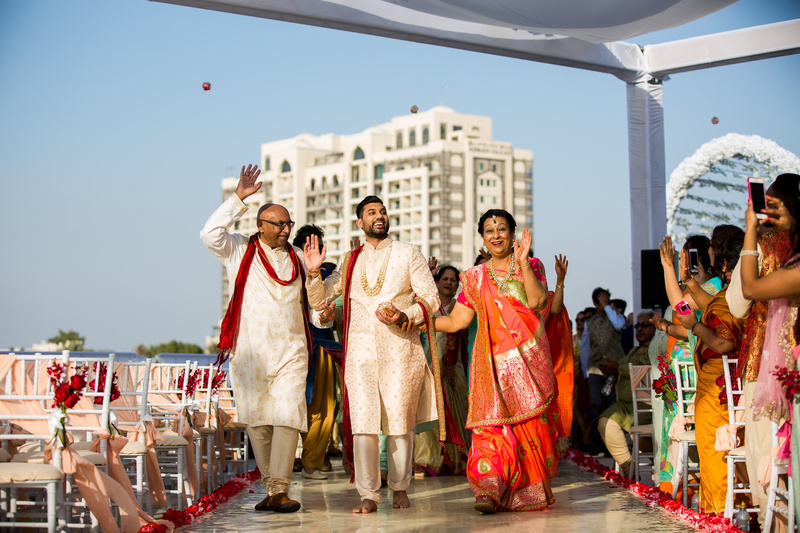 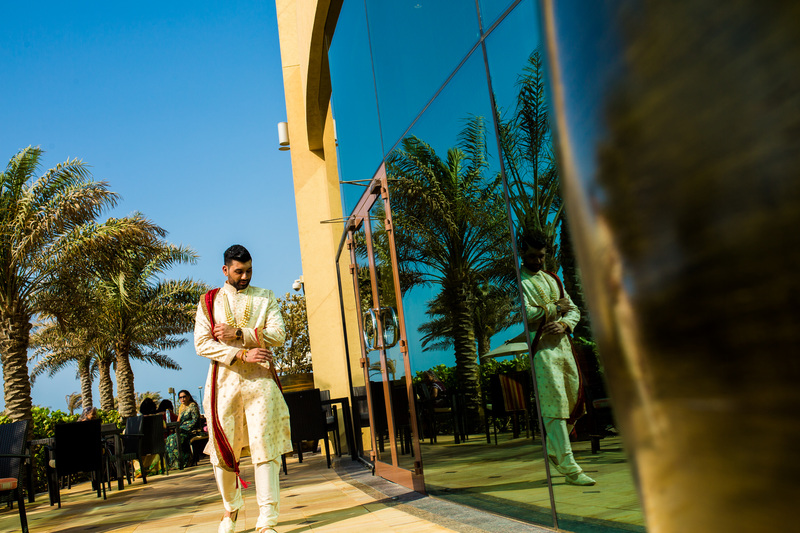 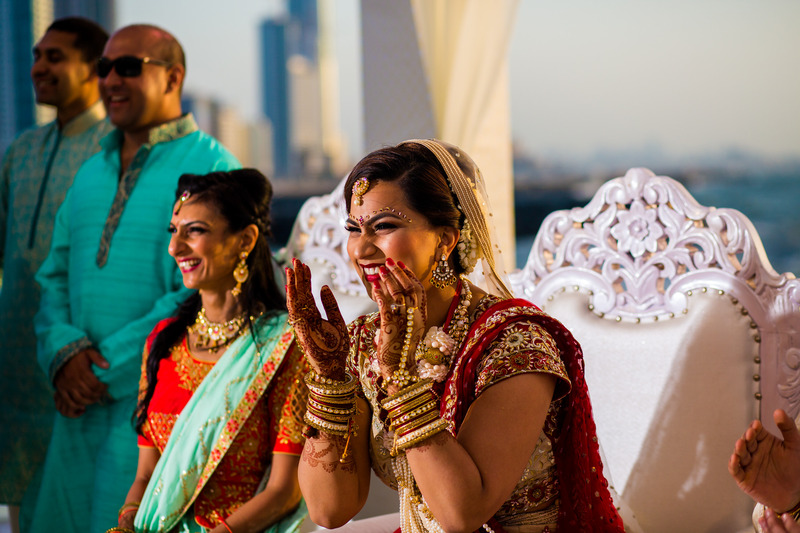 The Wedding ceremony was set to take place on the helipad at the Fairmont Hotel, Ajman. 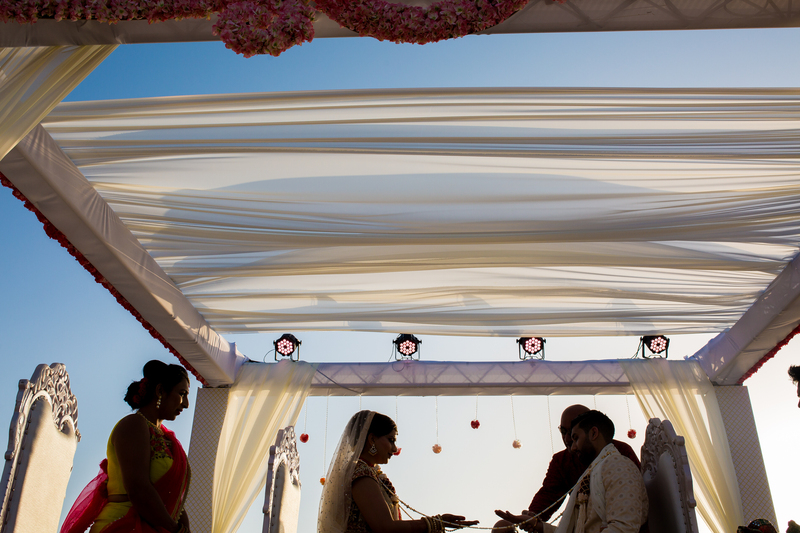 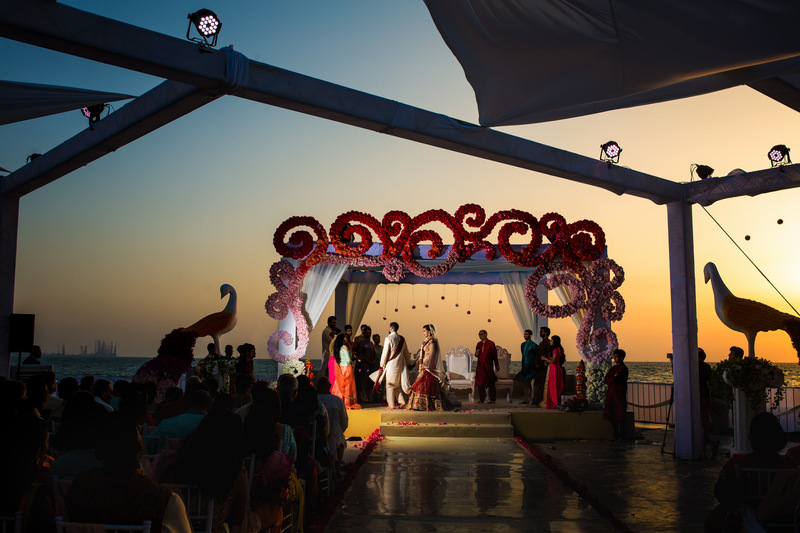 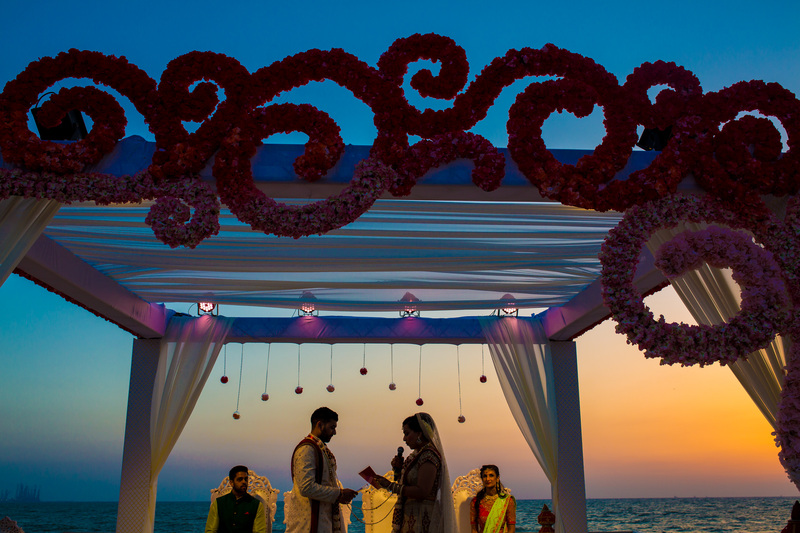 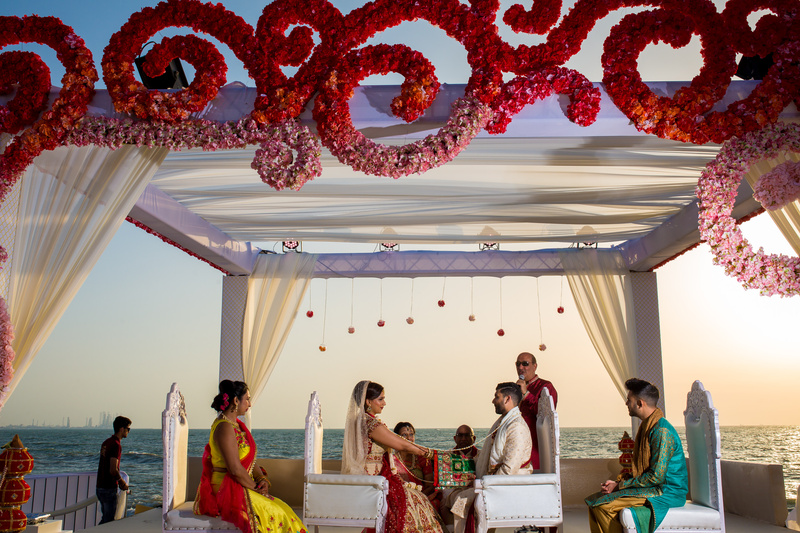 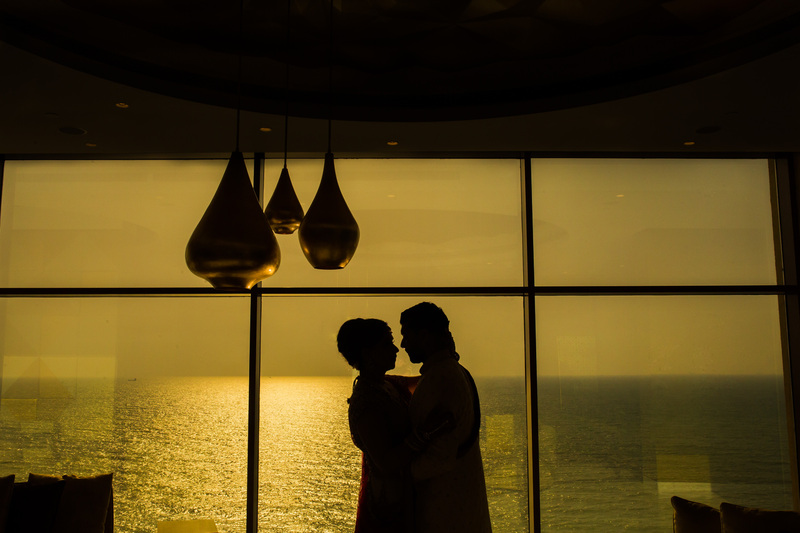 The setting was stunning as it overlooked the Arabian Sea with the sun due to set over the horizon. 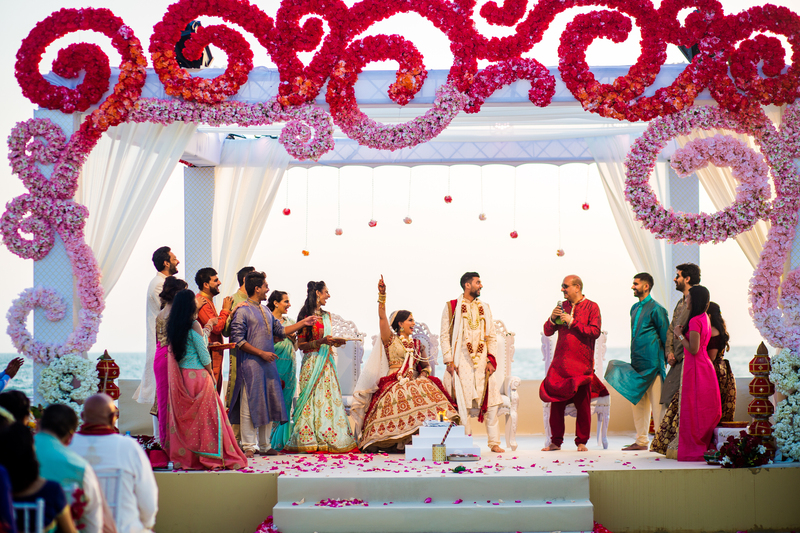 After the ceremony concluded everyone got ready for the Reception which was the grand finale for an epic Wedding week. 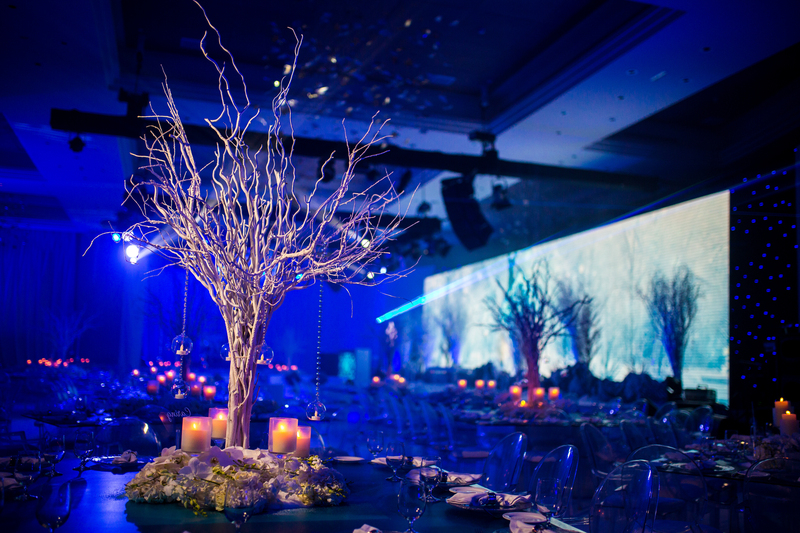 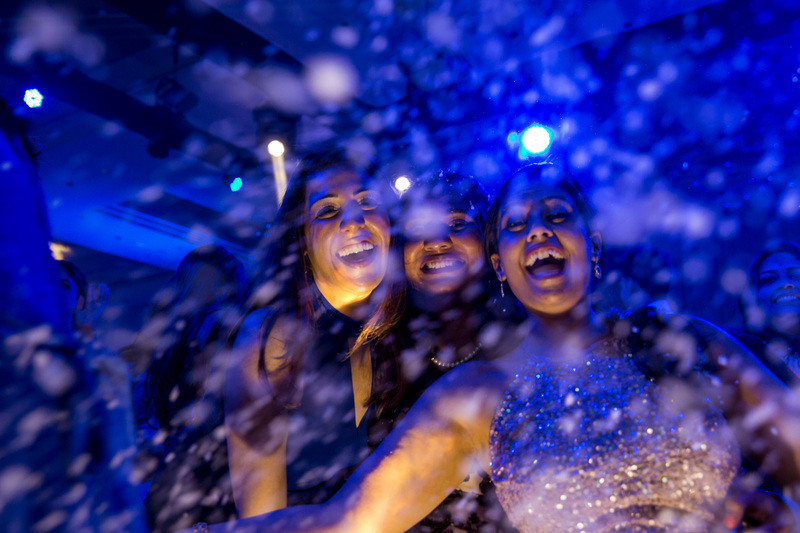 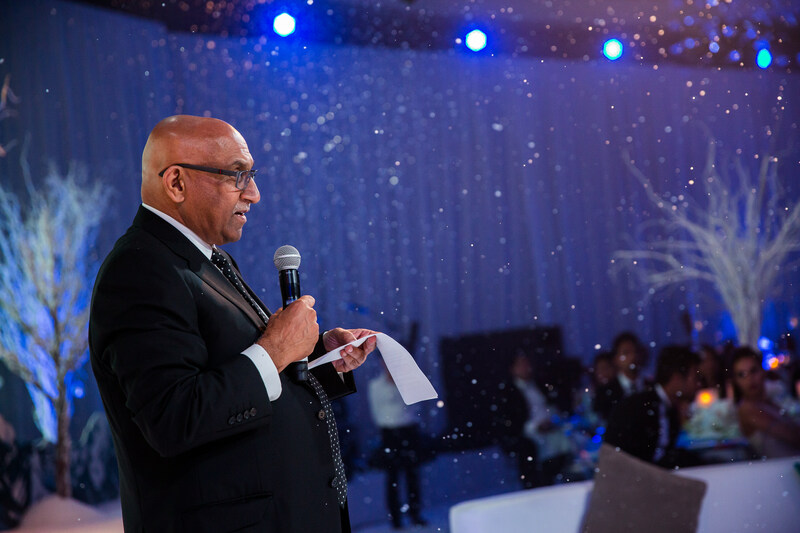 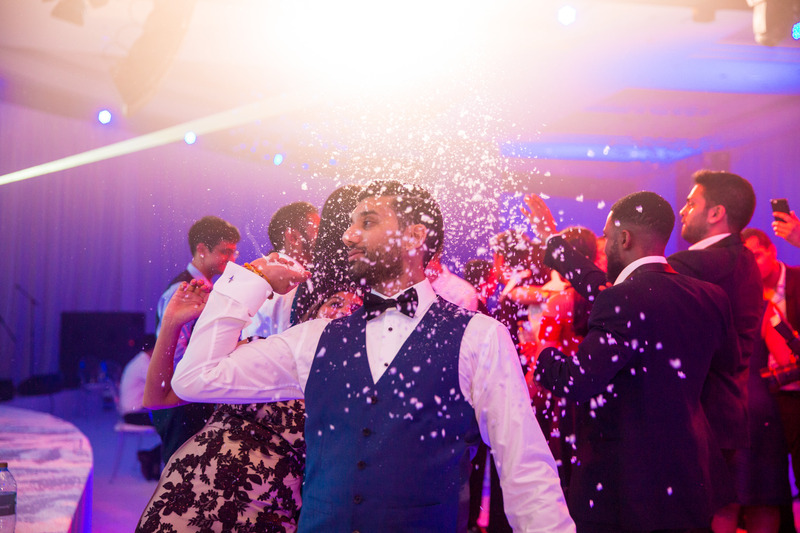 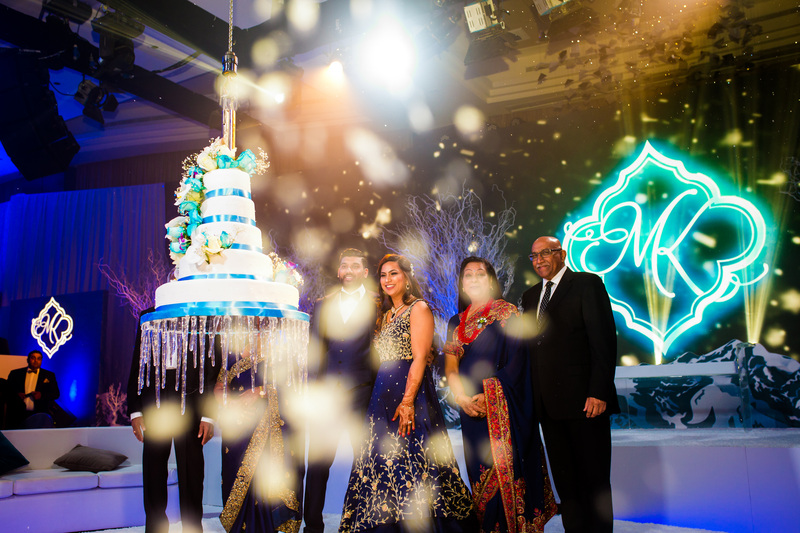 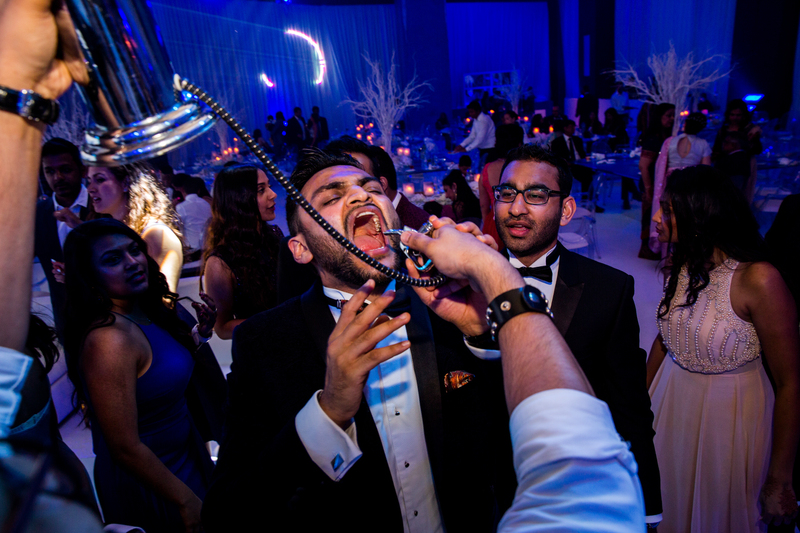 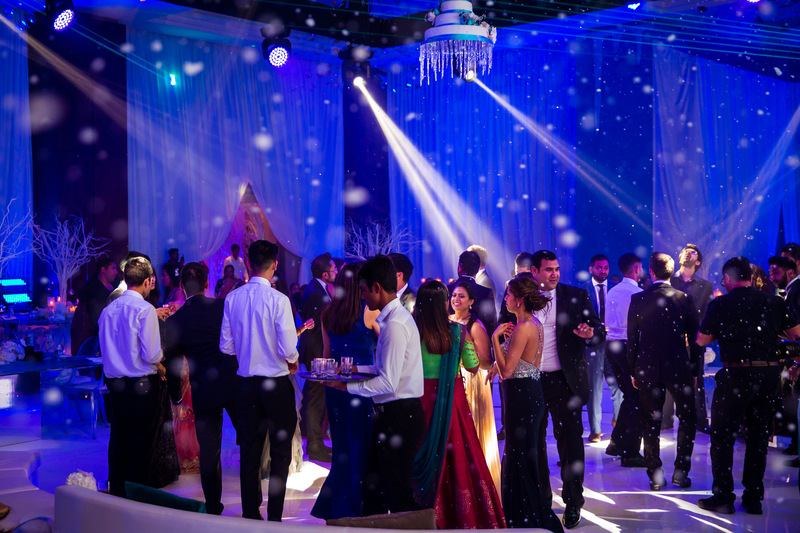 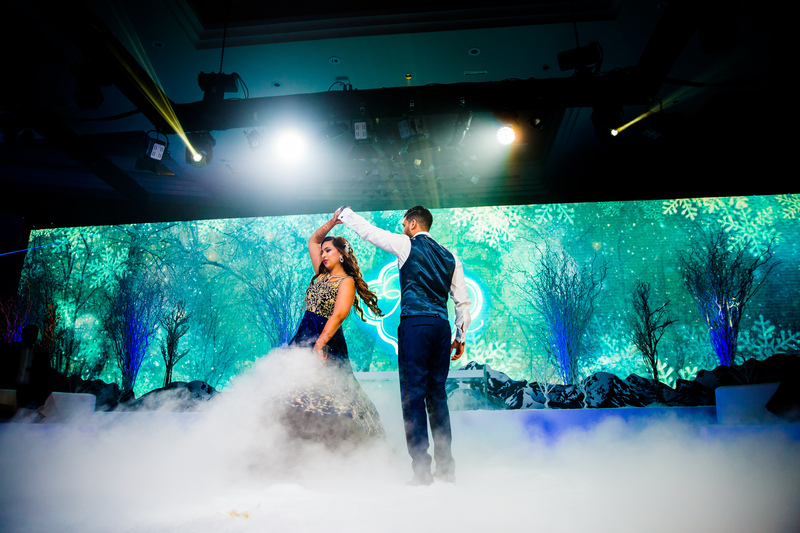 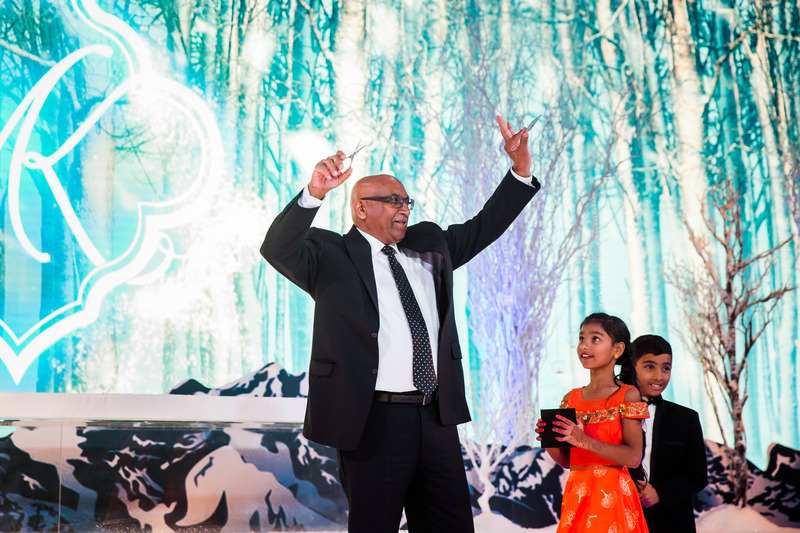 The theme was ‘Winter Wonderland’ From snow falling on to the dance floor to the cake being lowered down from the ceiling. 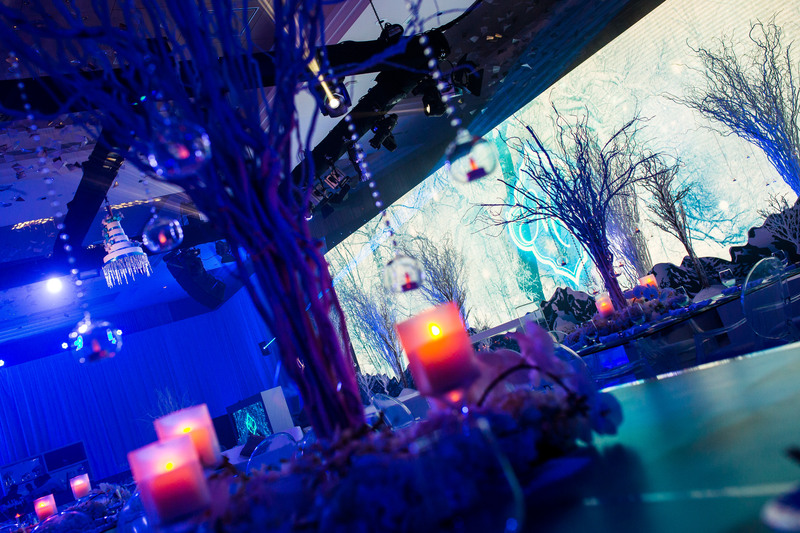 The decor was out of this world! 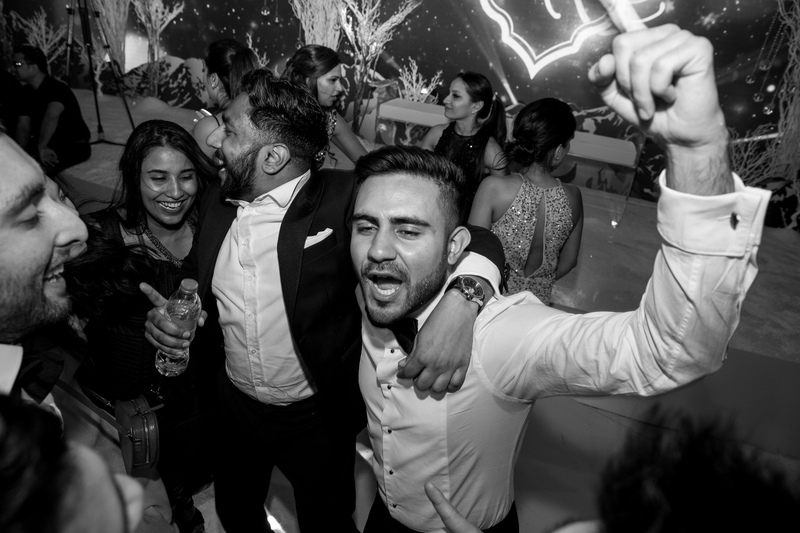 The party went on to 3am with DJ Rugrat playing it would have probably gone on for much longer! 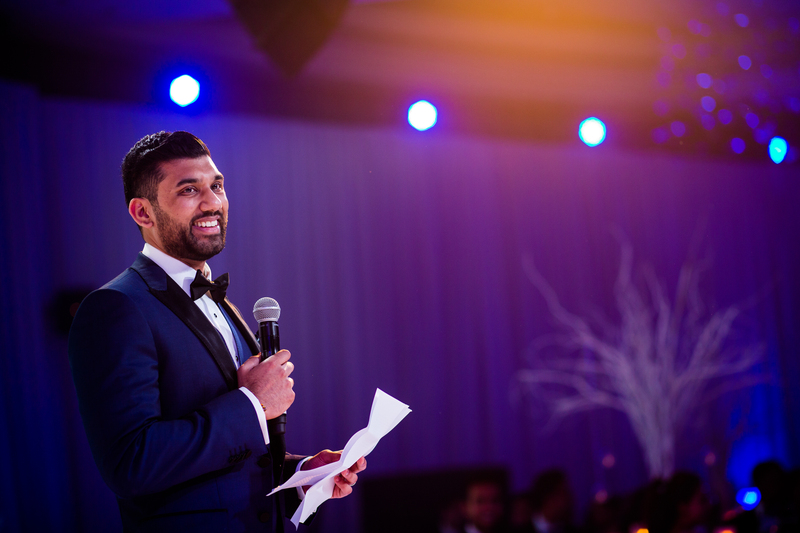 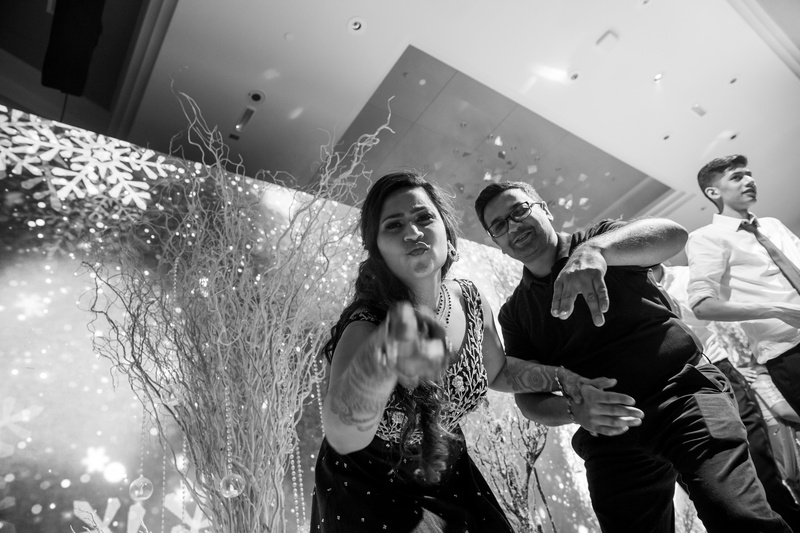 Huge thank you to Tejas Shah for assisting me for all the events! 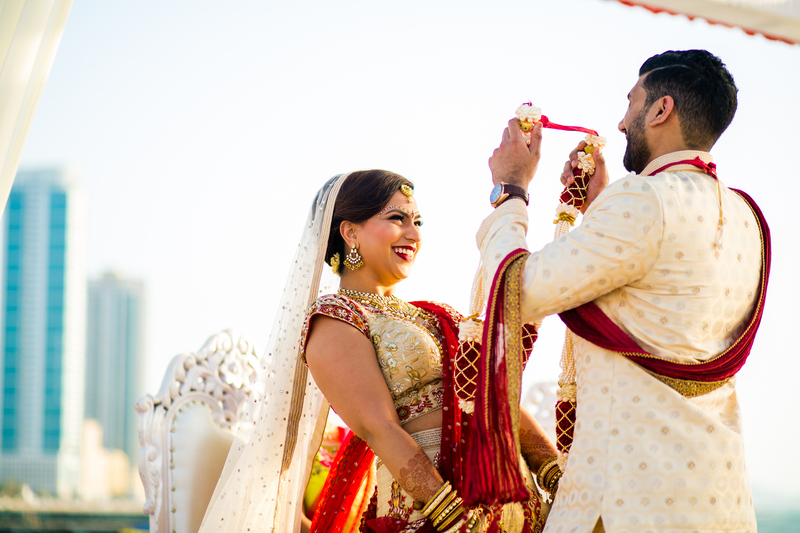 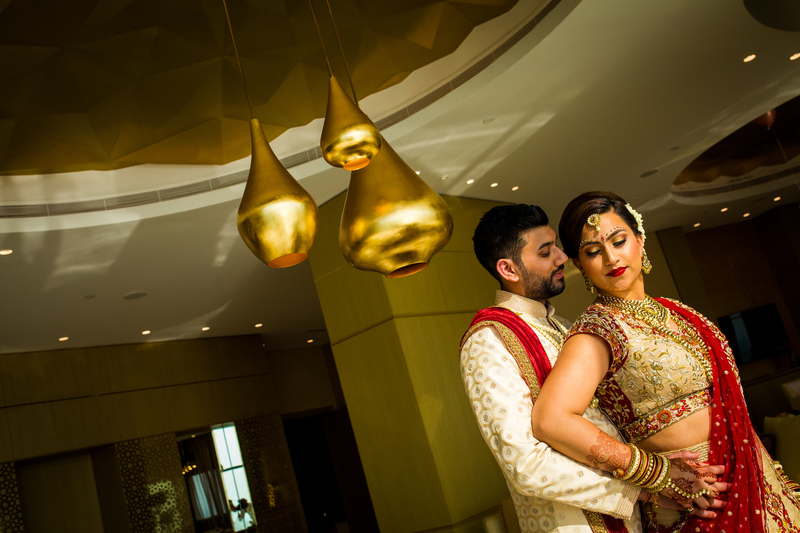 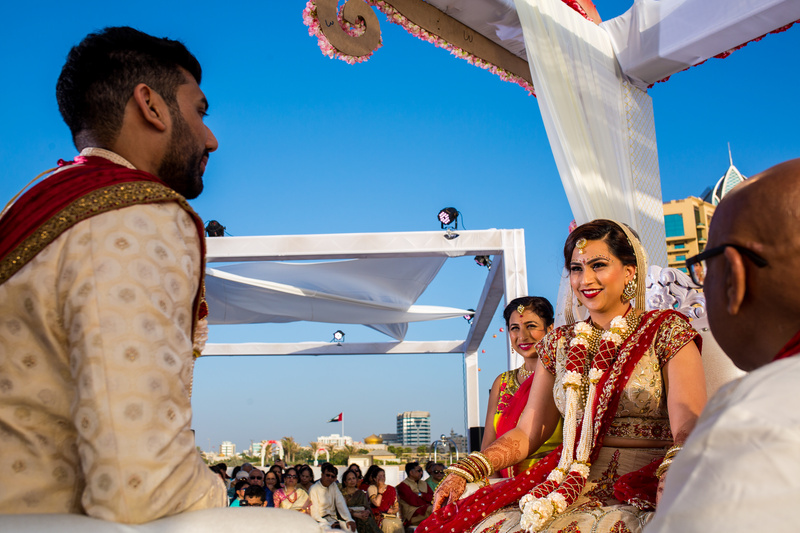 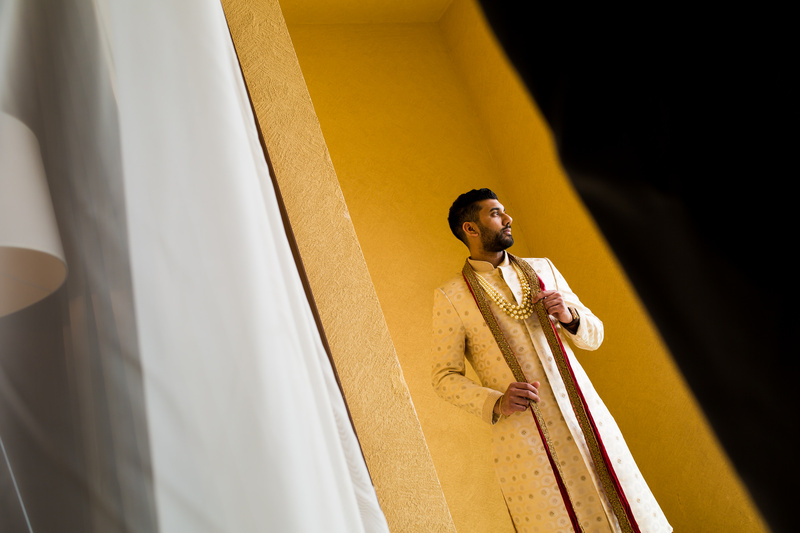 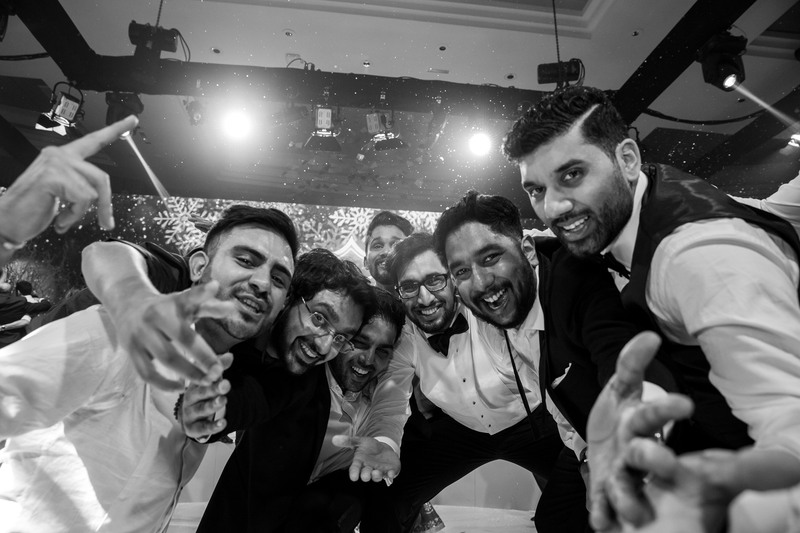 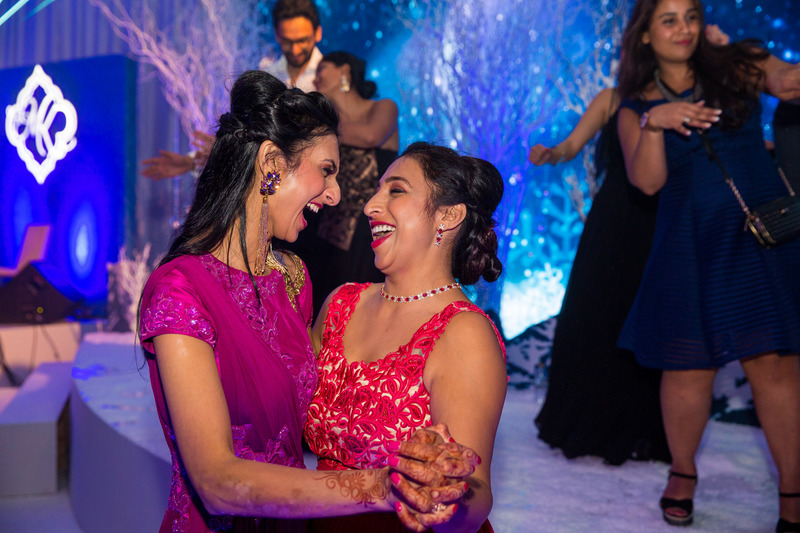 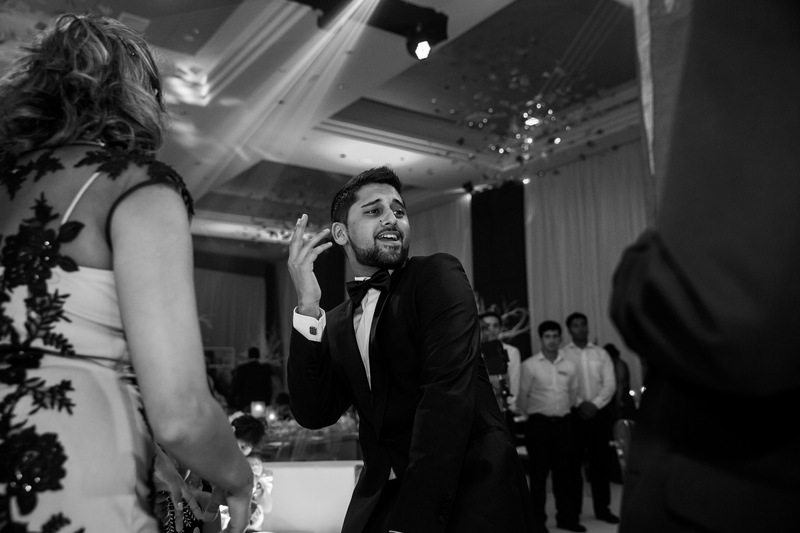 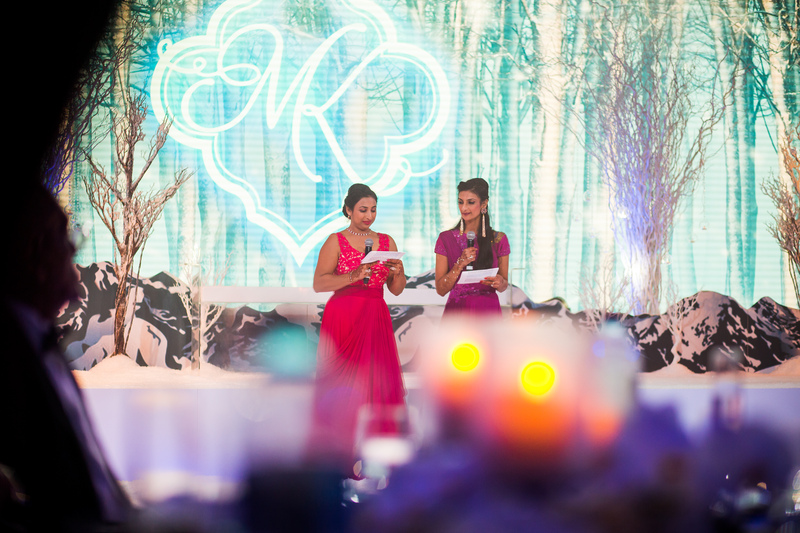 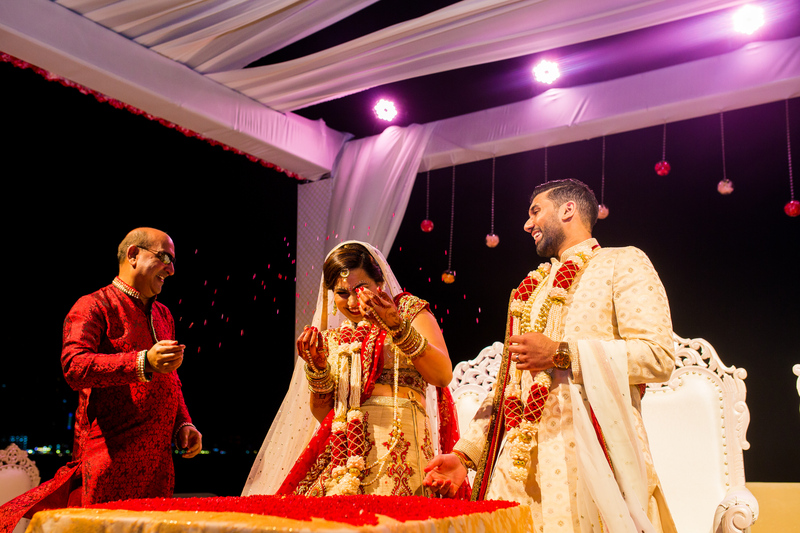 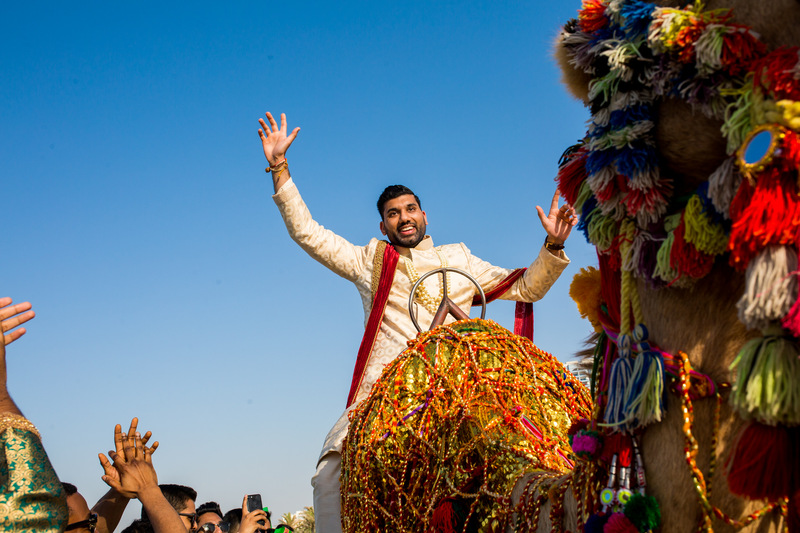 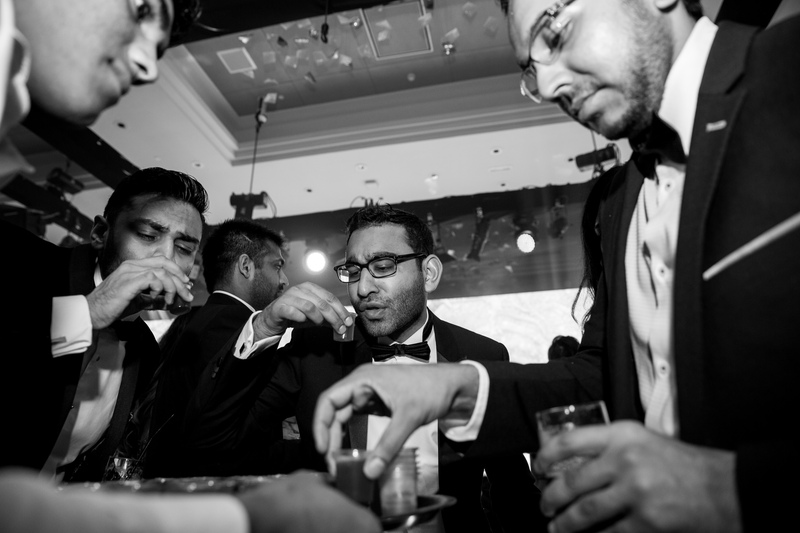 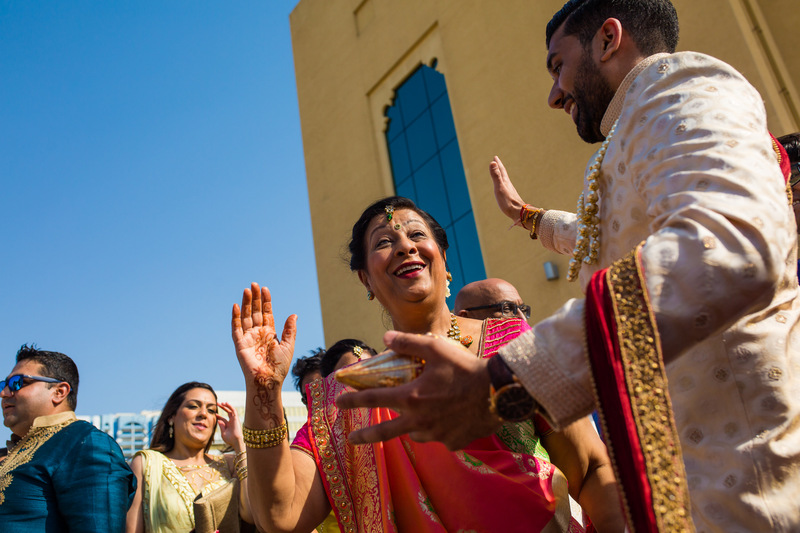 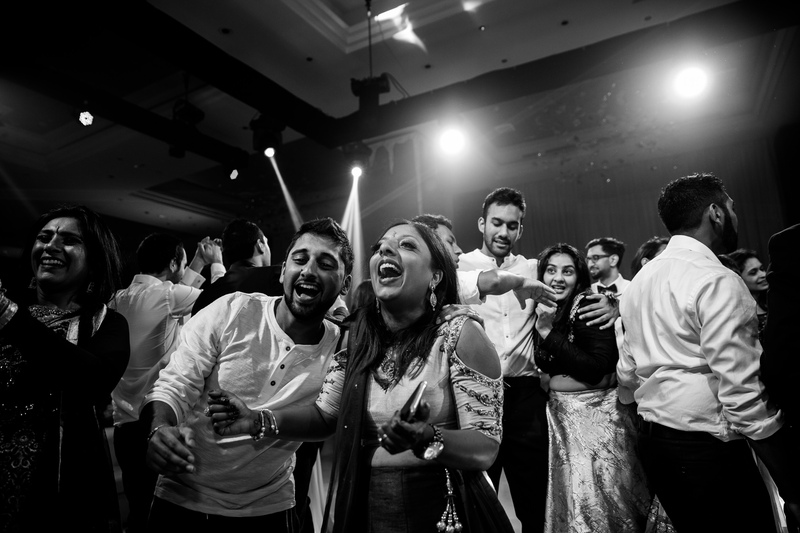 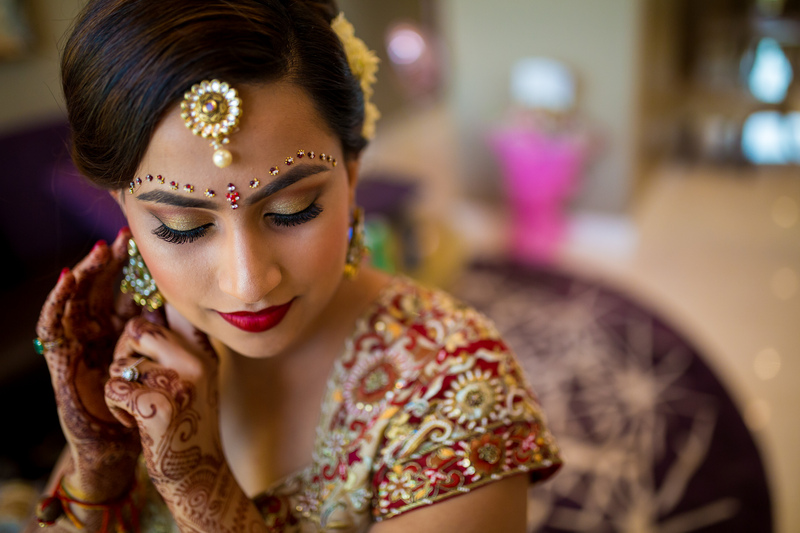 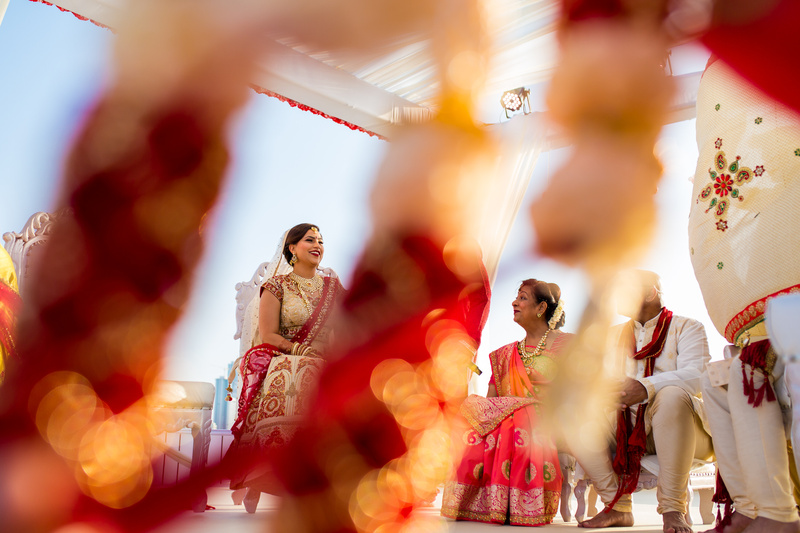 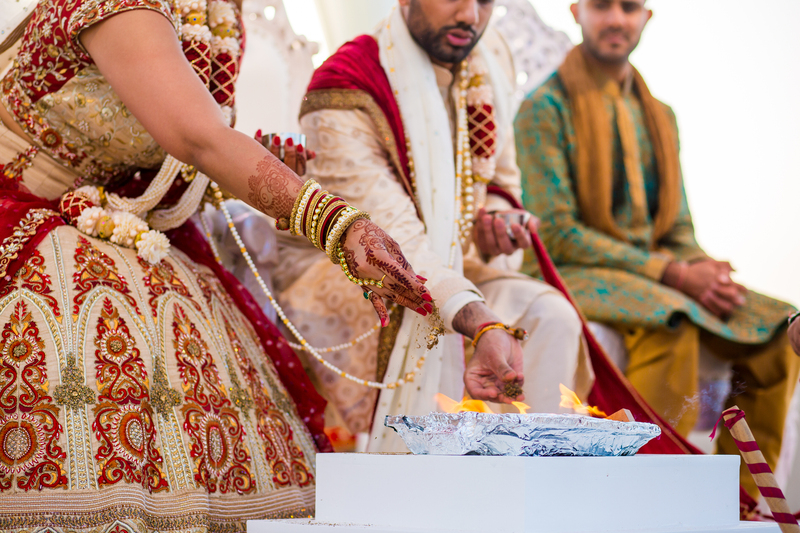 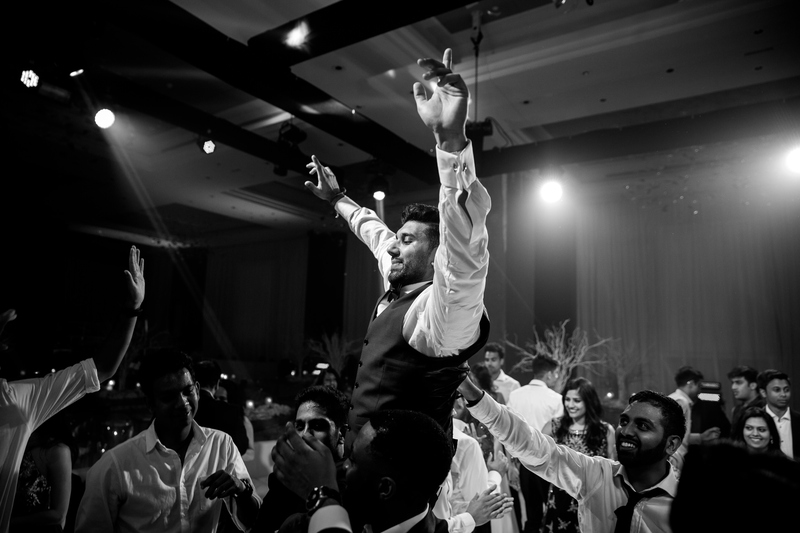 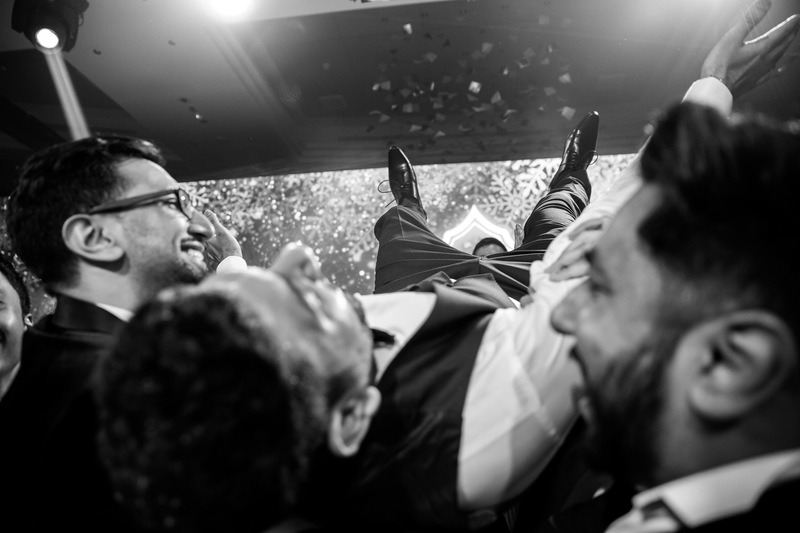 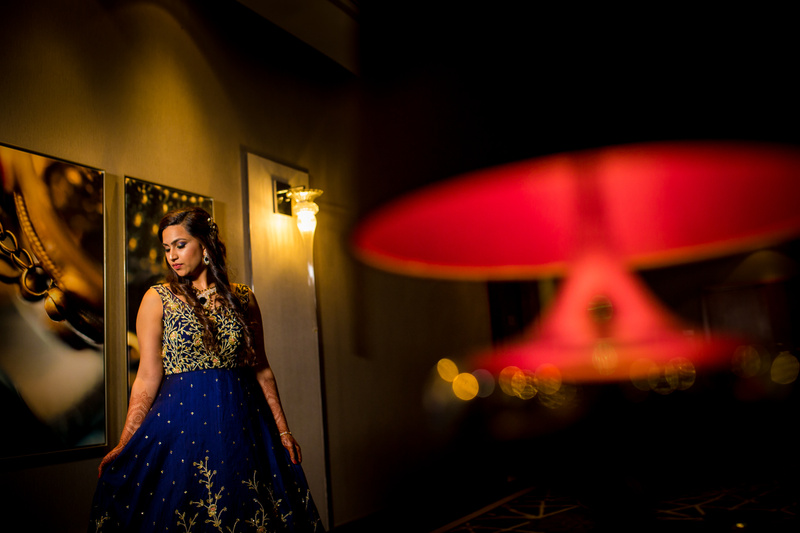 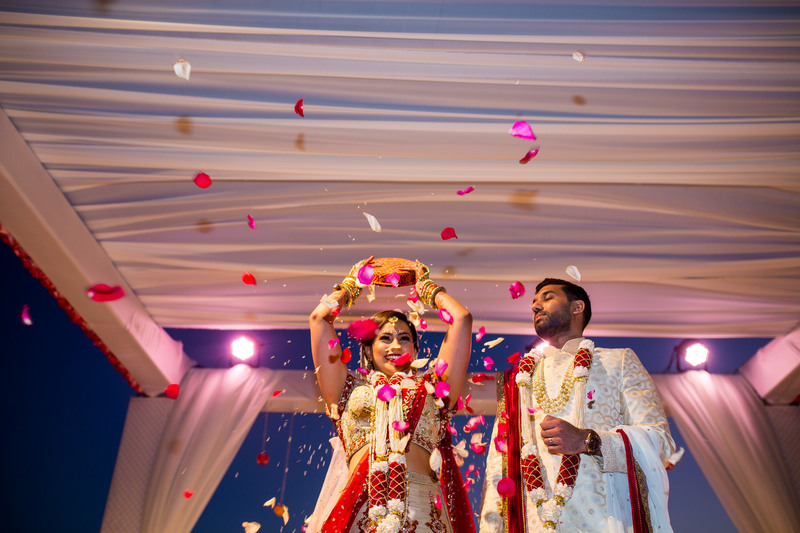 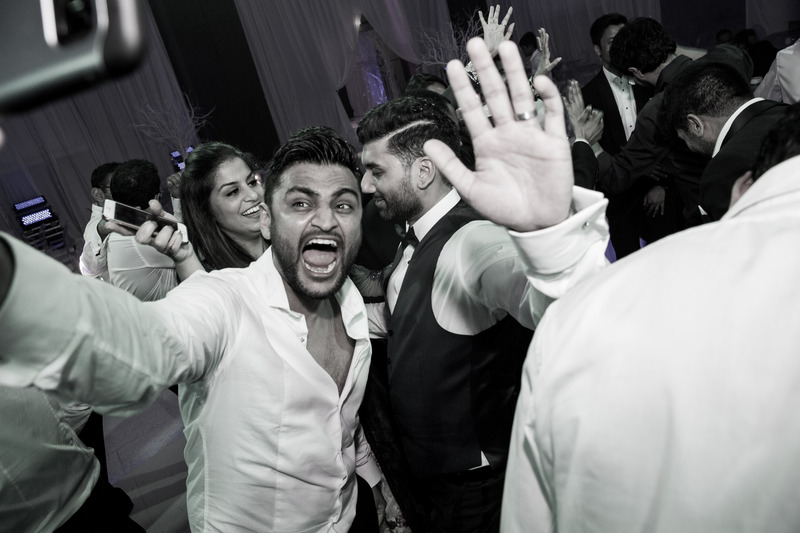 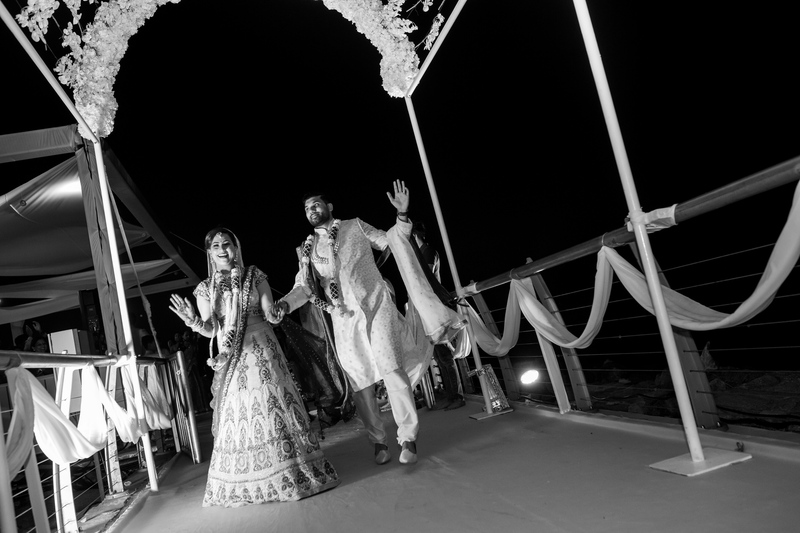 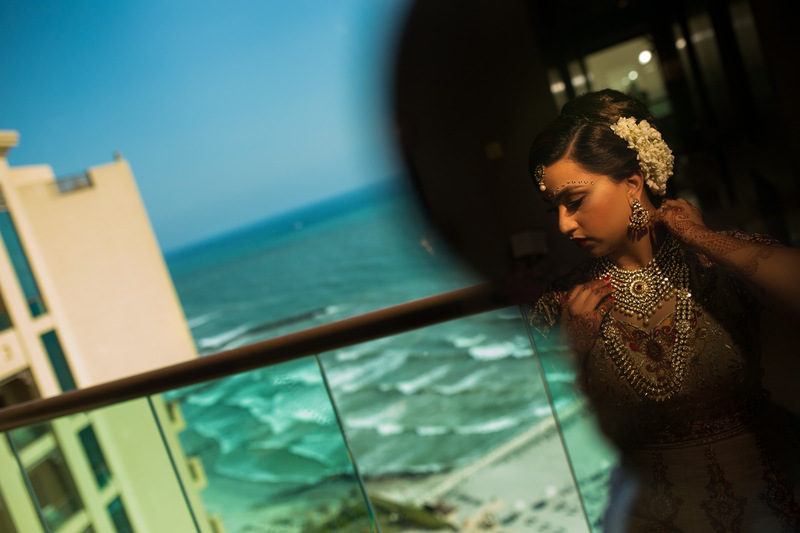 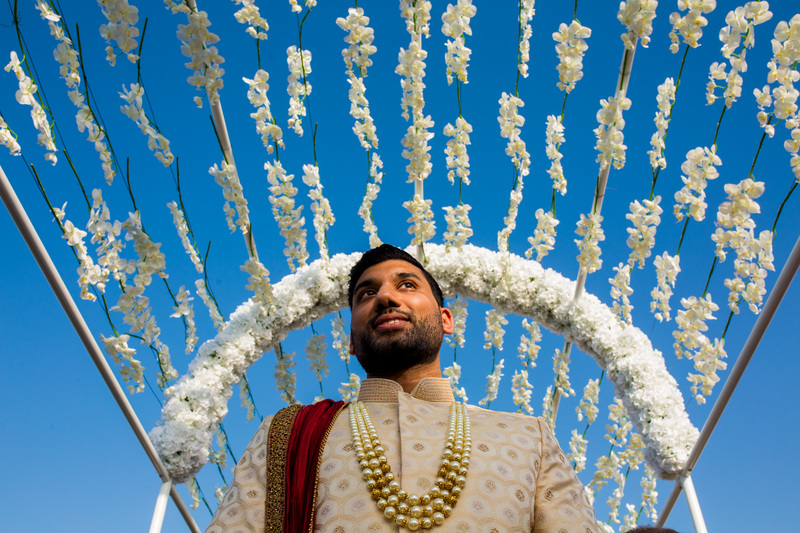 Thank you Meera & Keval for trusting me to document your wedding. 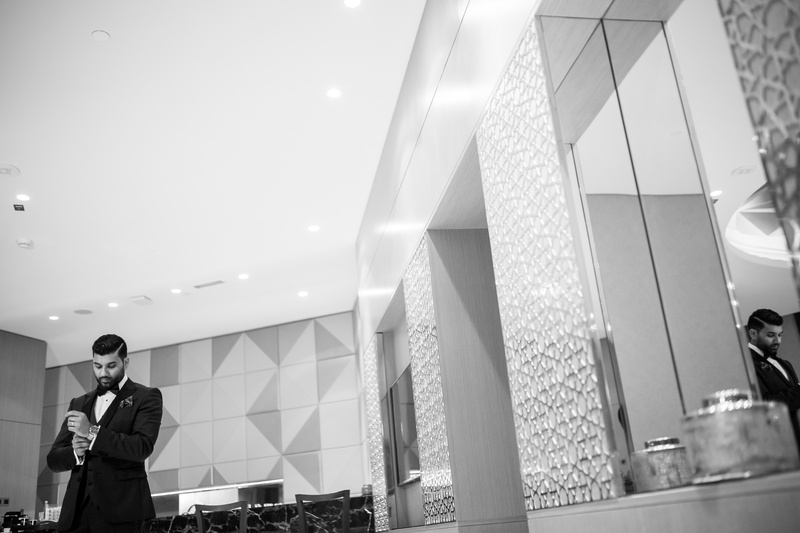 It was an absolute pleasure and I can’t wait to make your album!